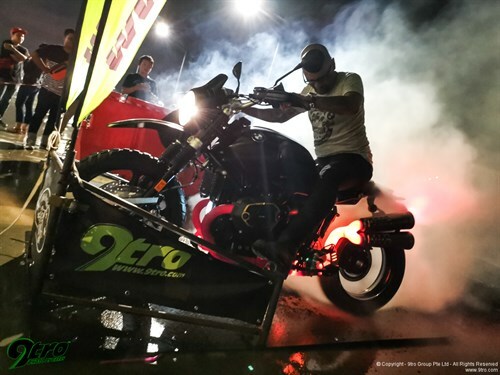 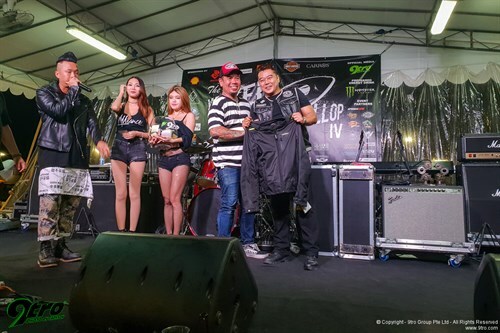 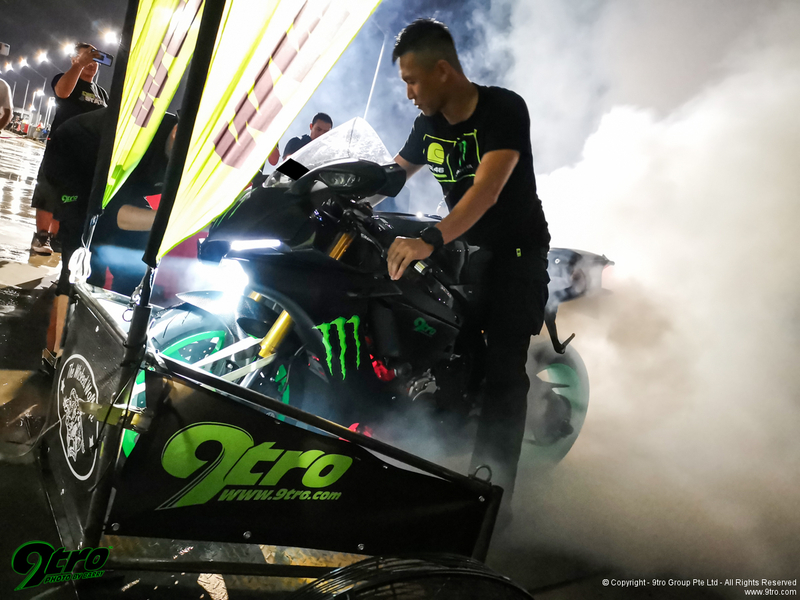 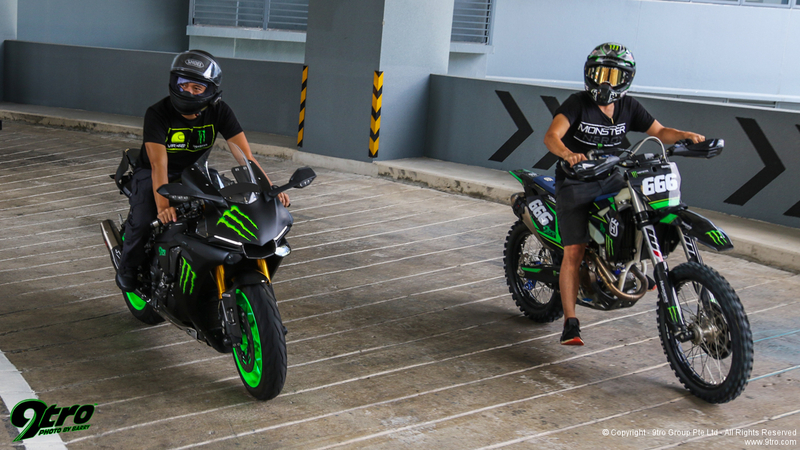 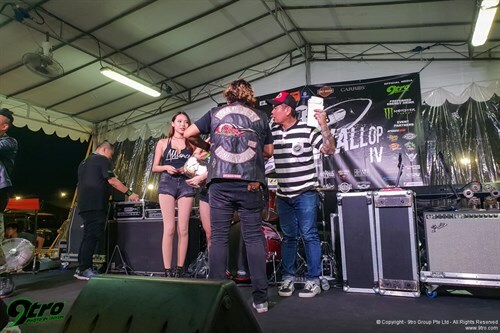 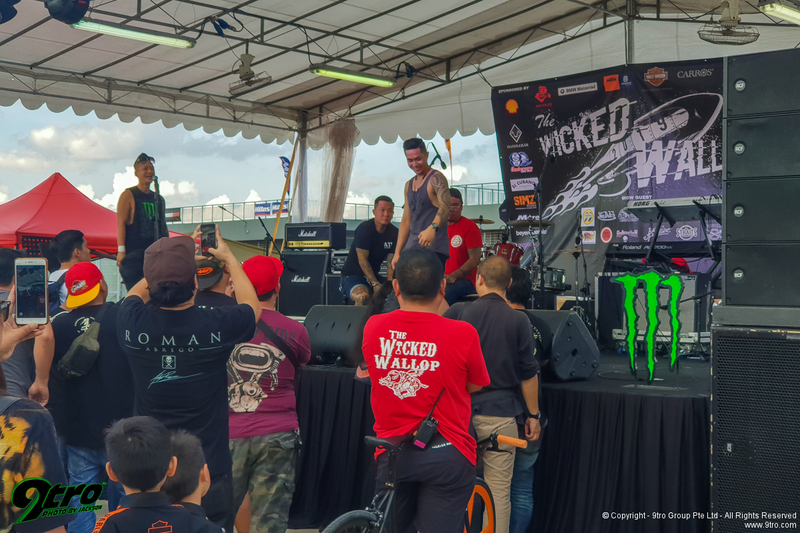 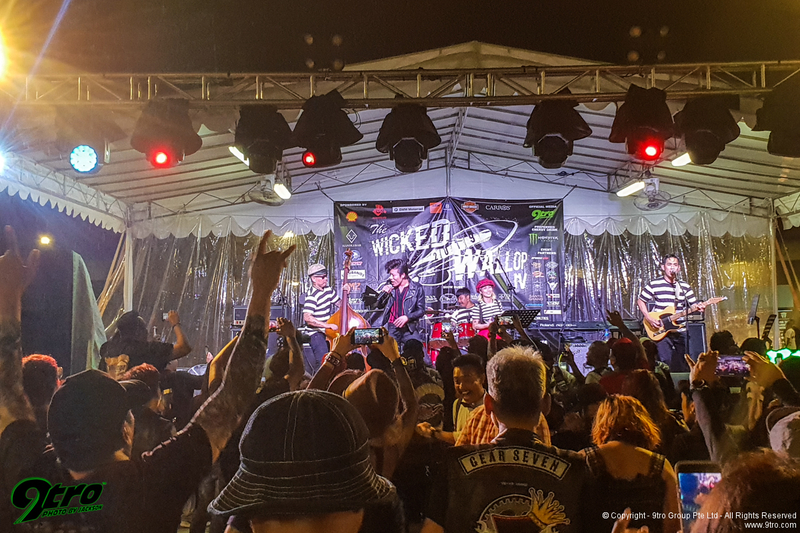 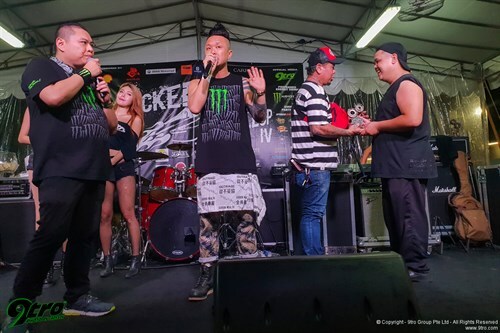 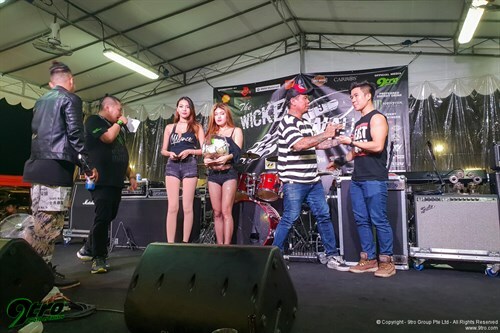 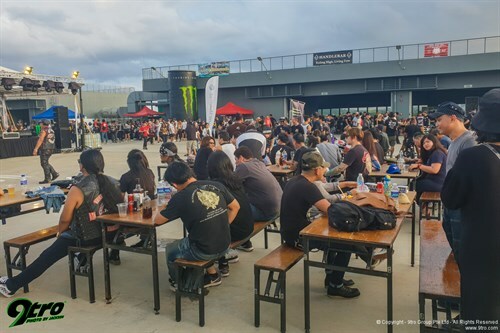 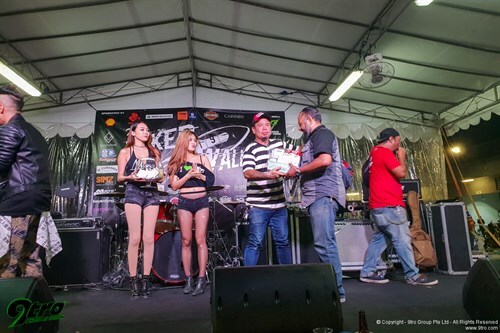 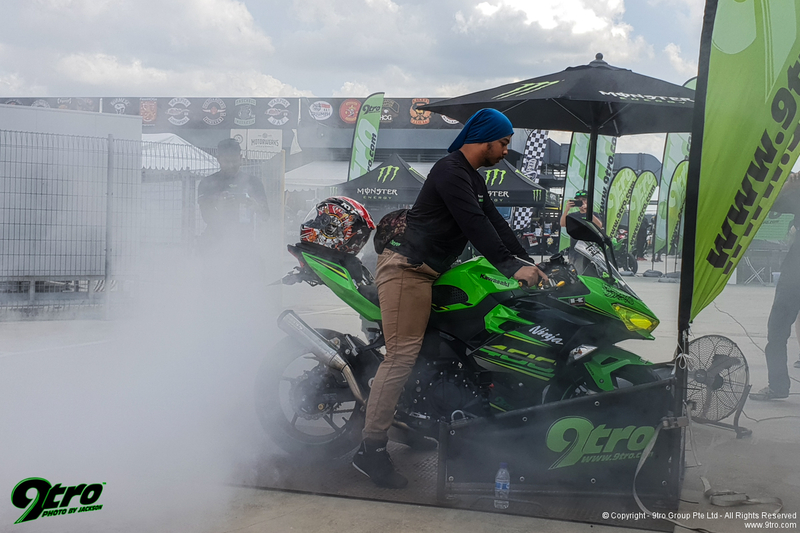 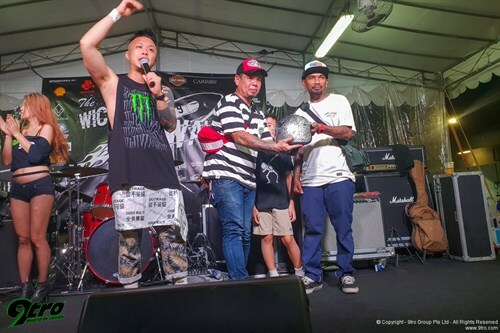 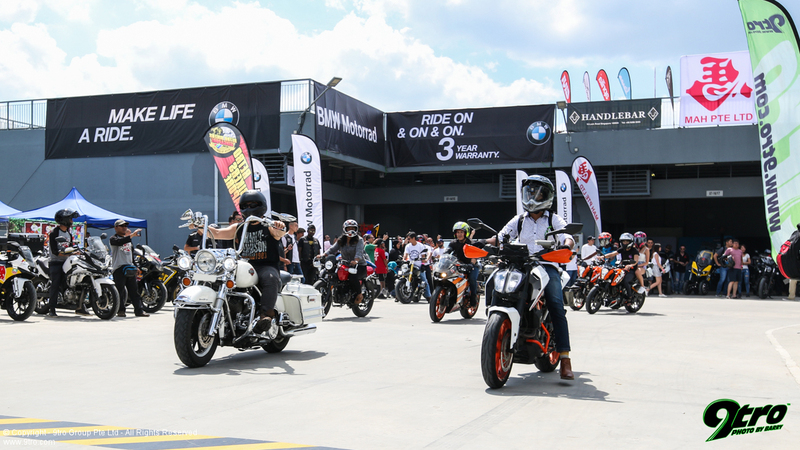 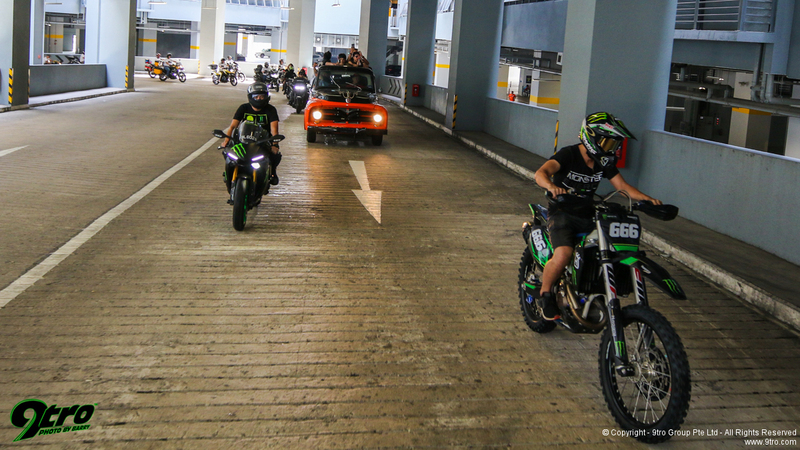 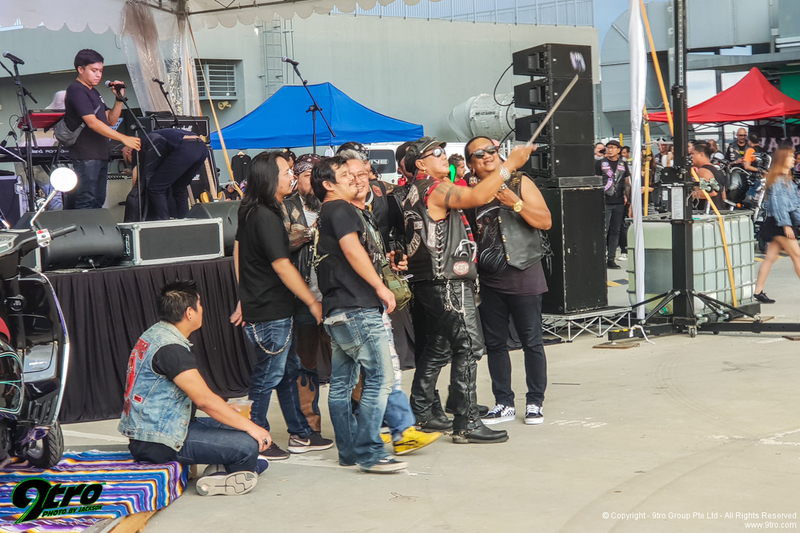 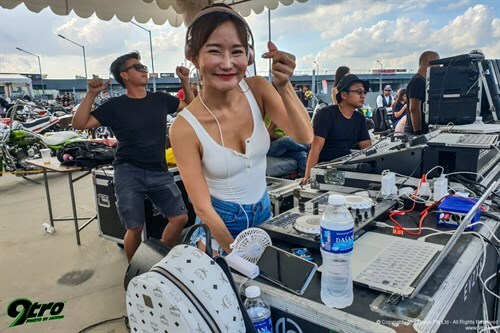 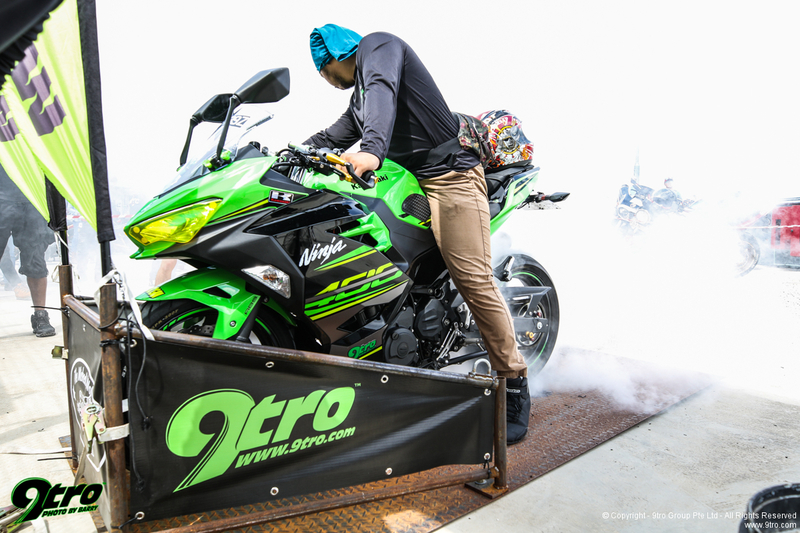 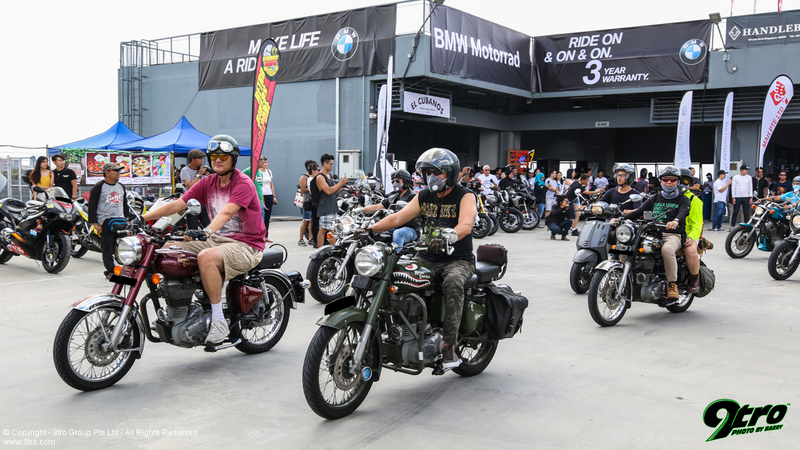 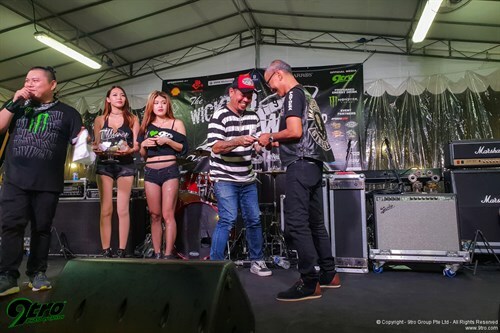 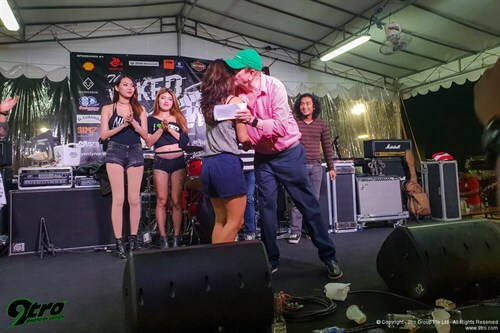 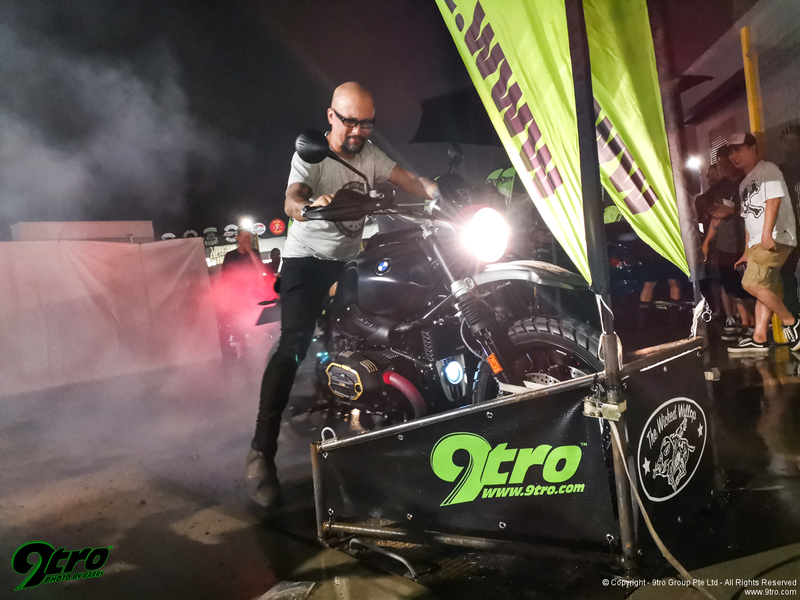 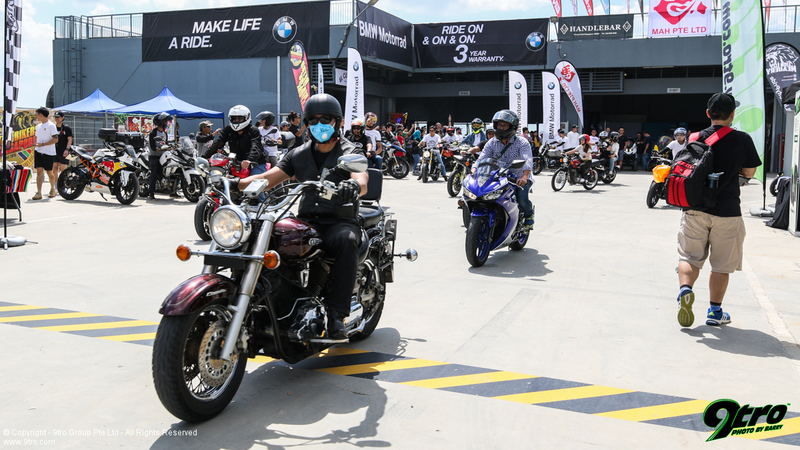 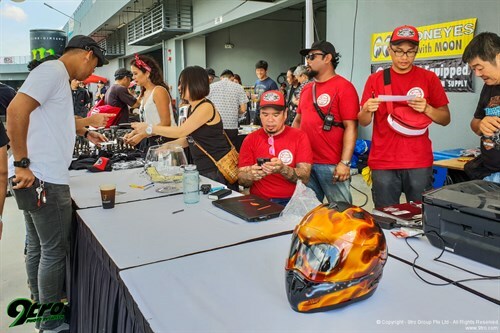 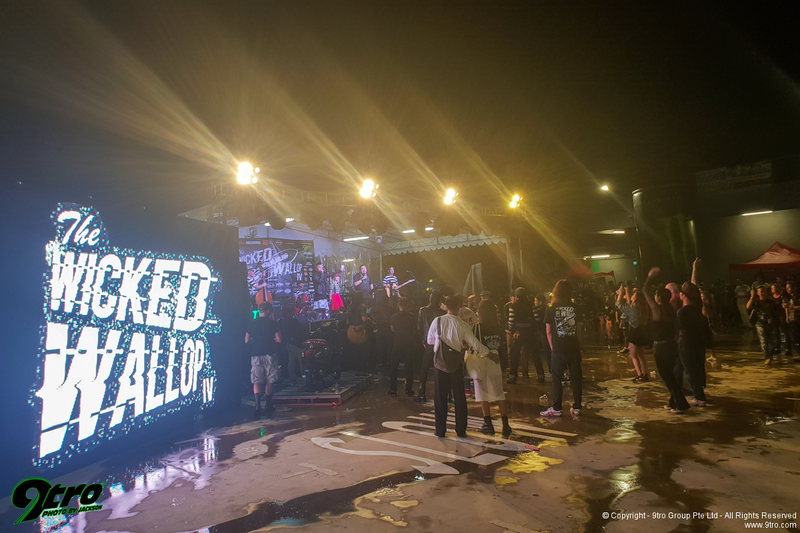 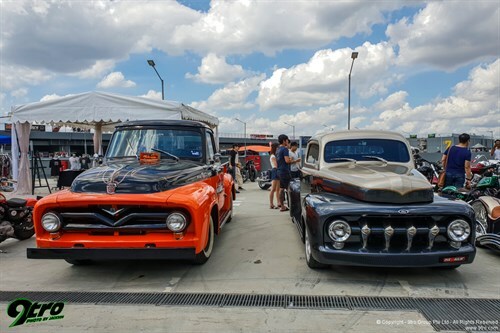 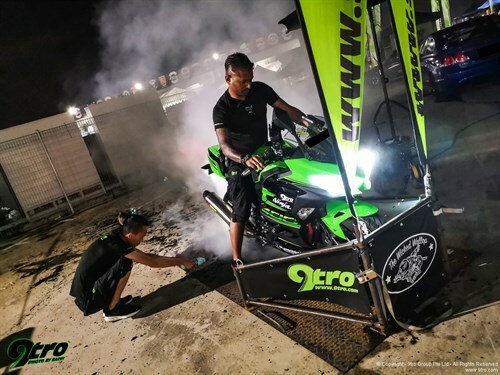 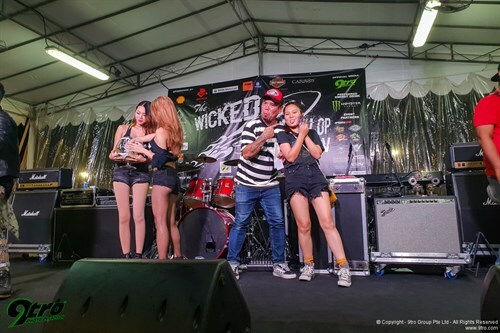 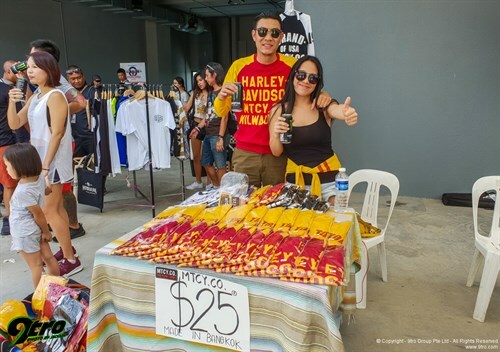 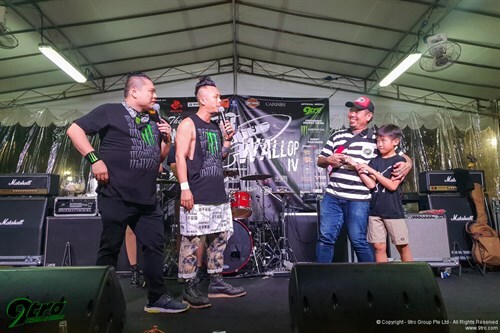 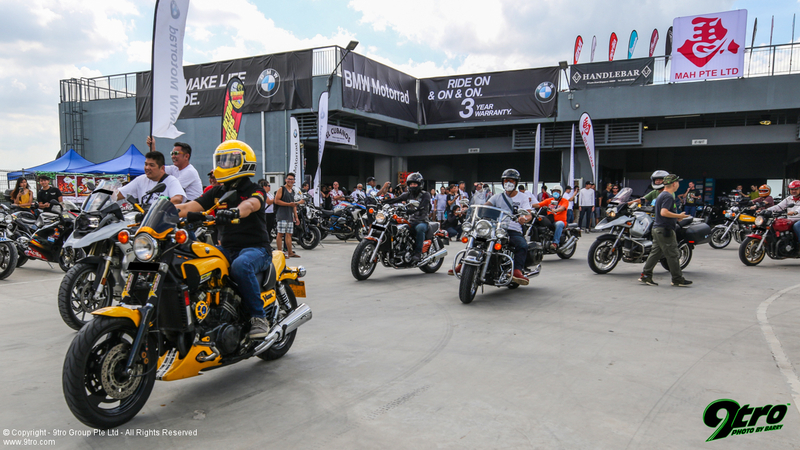 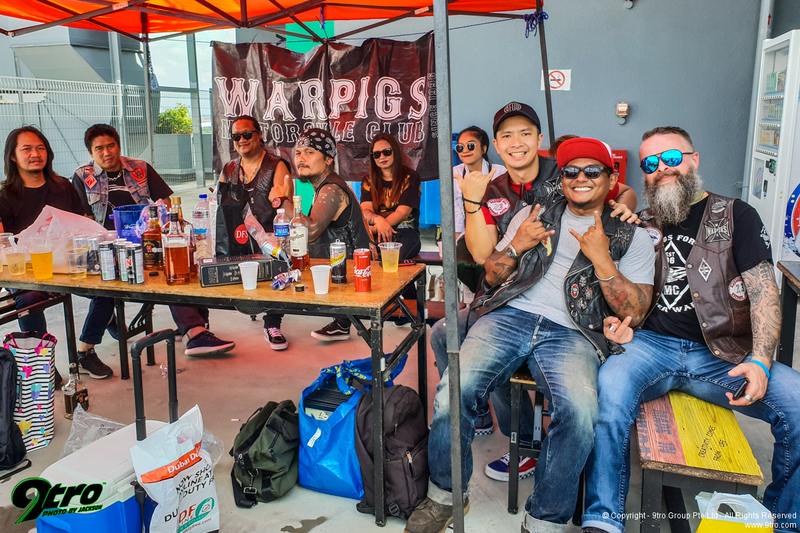 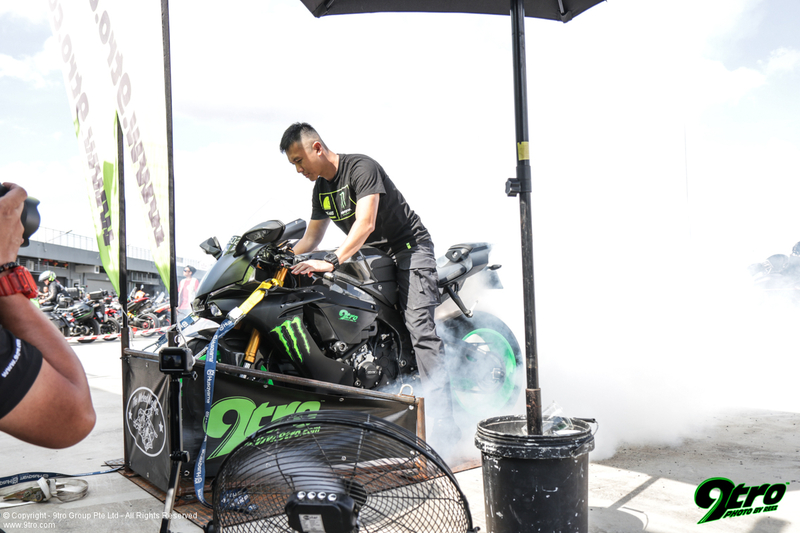 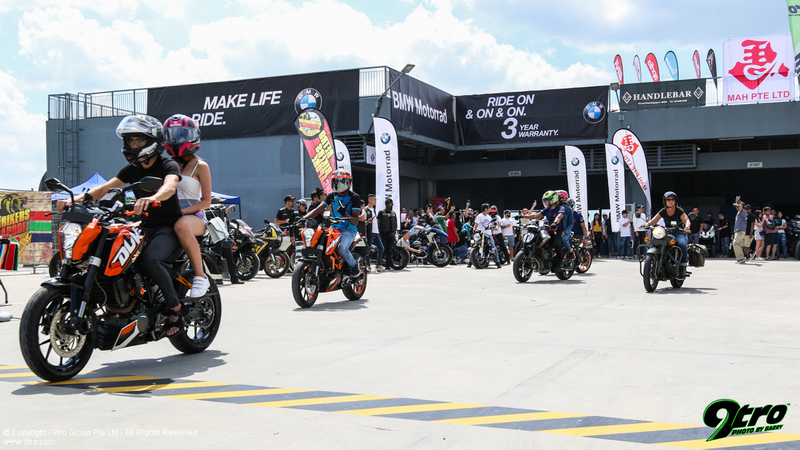 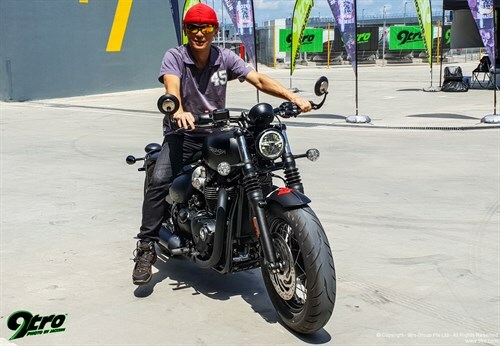 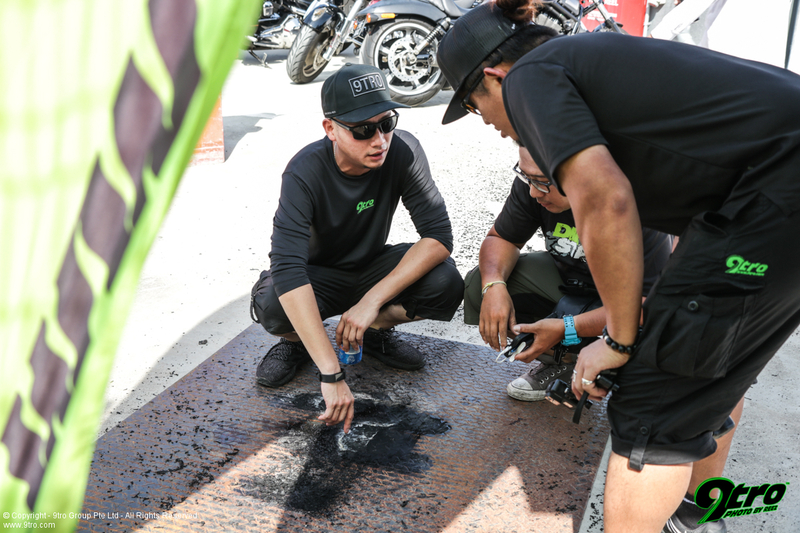 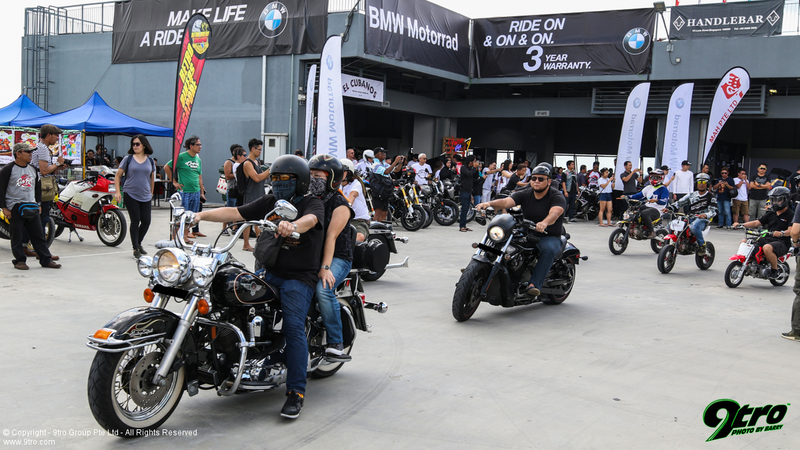 Singapore’s biggest outdoor motorcycle party was wild, loud and absolutely wicked! 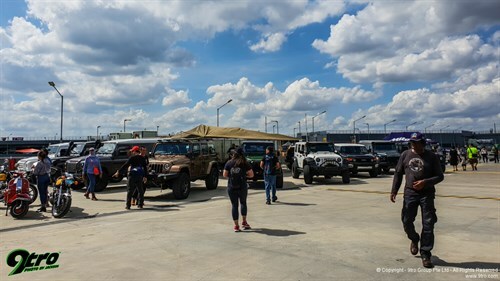 The massive convoy getting ready for the ride up to the roof! 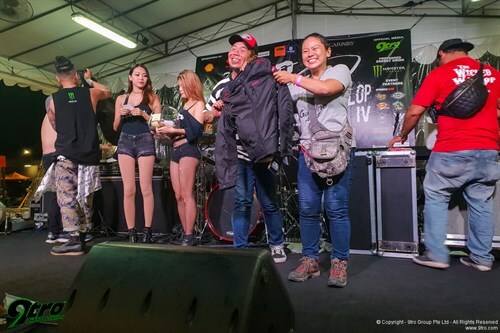 Our 9tro Angels, Michelle and Angel, flanking Monster Energy's Gisselle. 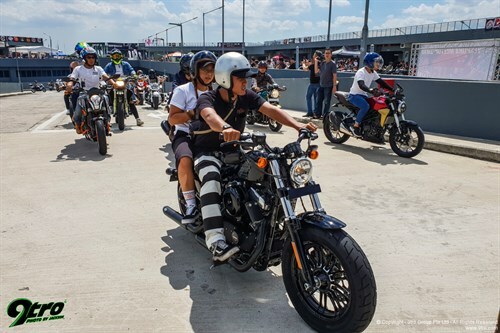 If the third iteration of the biker event was anything to go by last year, this year it was even bigger, wilder and brimming with pure unadulterated fun! The party started bright and early at 10am before coming to a close around midnight! 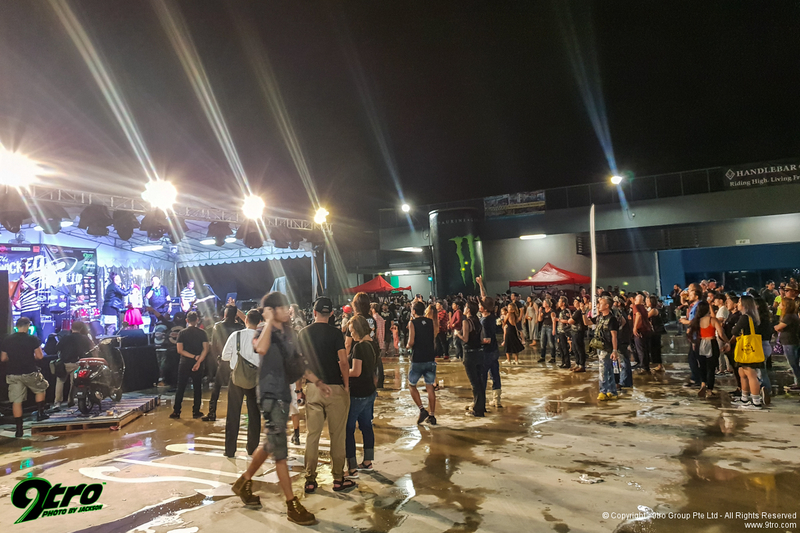 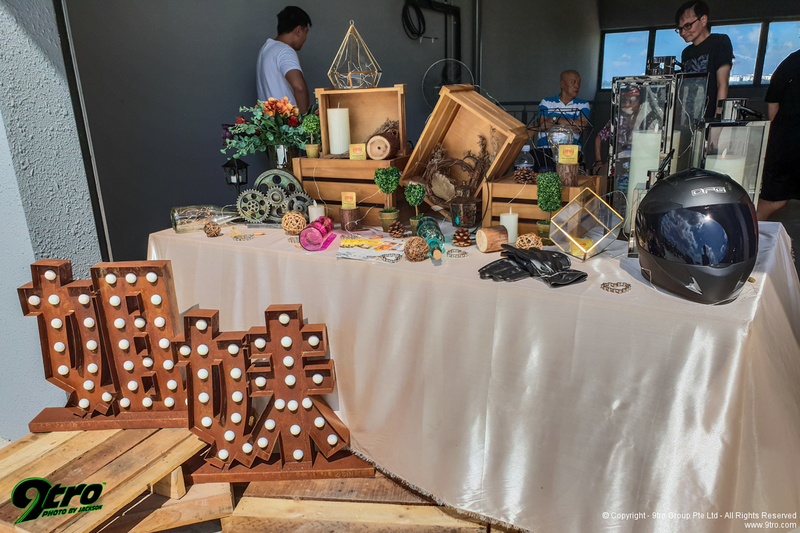 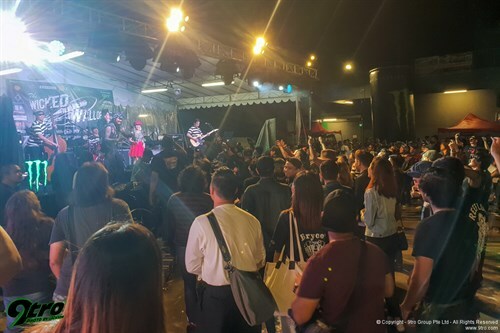 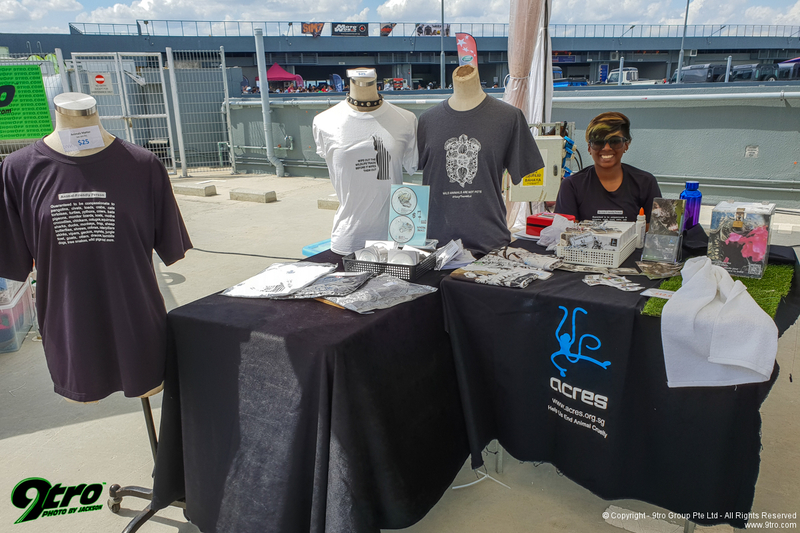 So exactly what could have made anyone stay on the roof top of Carros Centre for over 12 hours amid scorching temperatures, which turned into an unexpected early evening moderate shower that saw almost everyone taking shelter but still not leaving the venue? 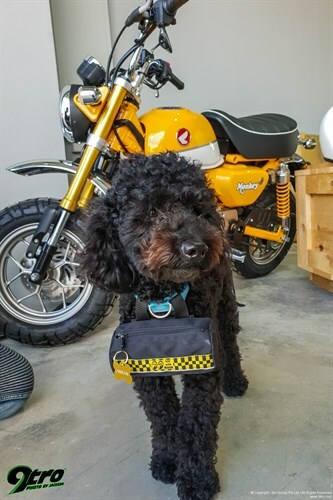 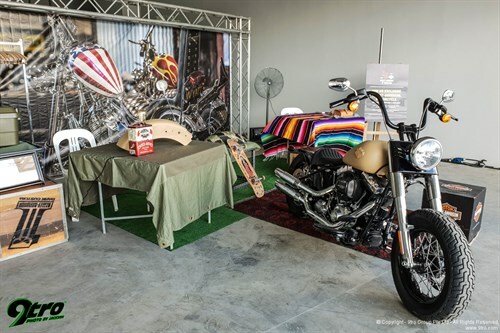 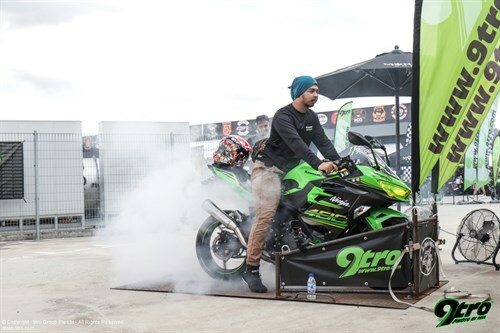 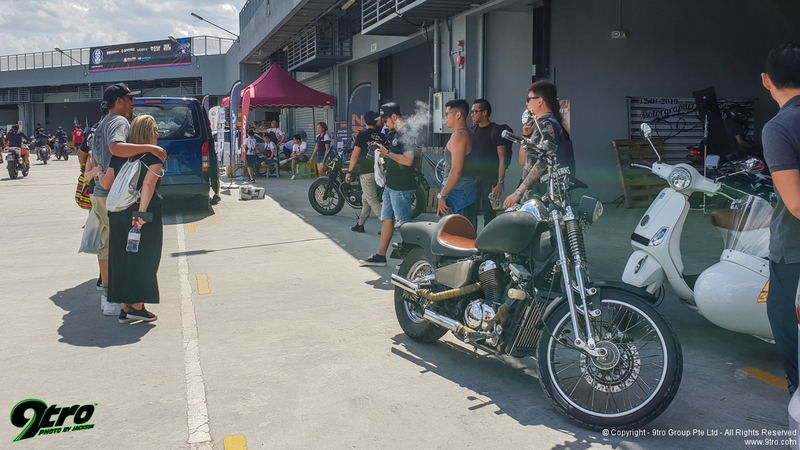 Well, if its anything to go by, its the biker spirit and in celebration of all things two-wheels - also there aren’t many dedicated events like Wicked Wallop where bikers from various brands and models can mingle and interact with one another on such a level. 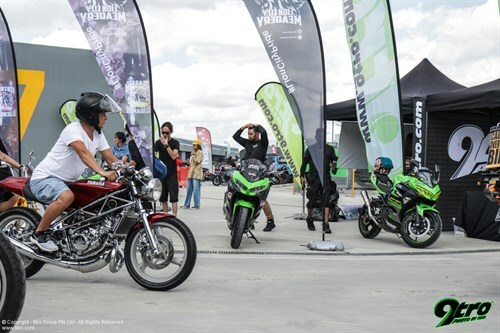 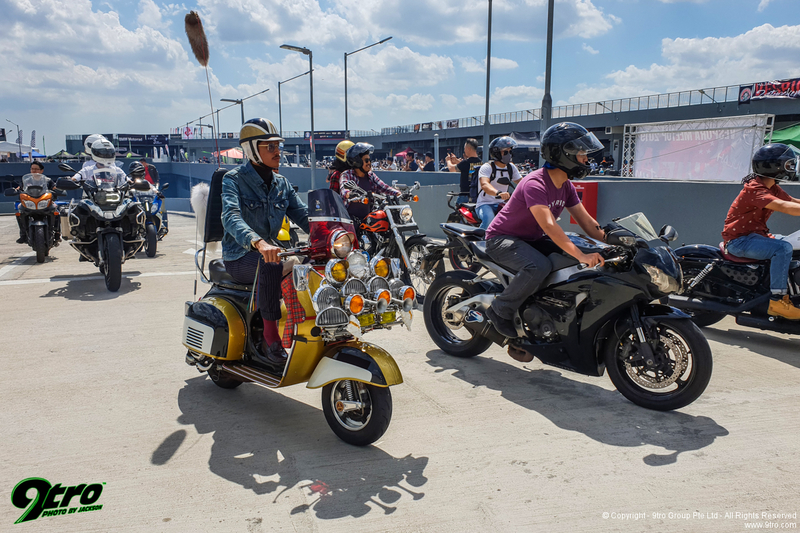 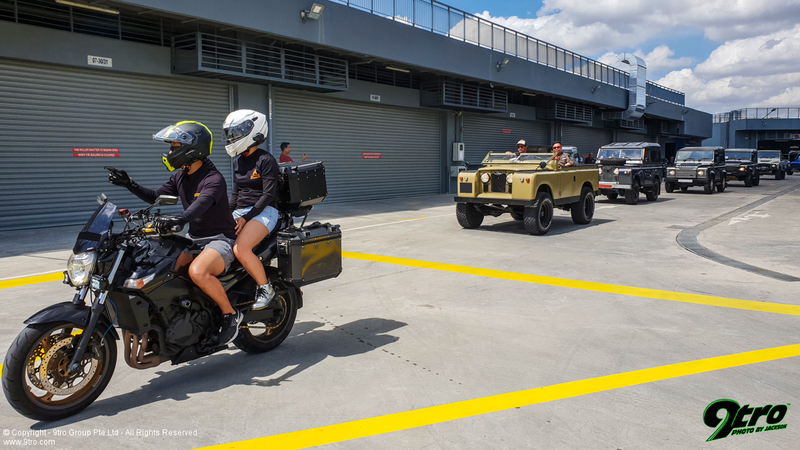 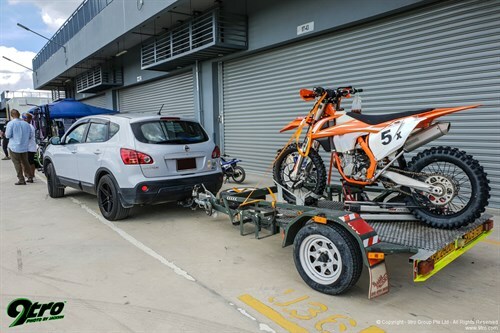 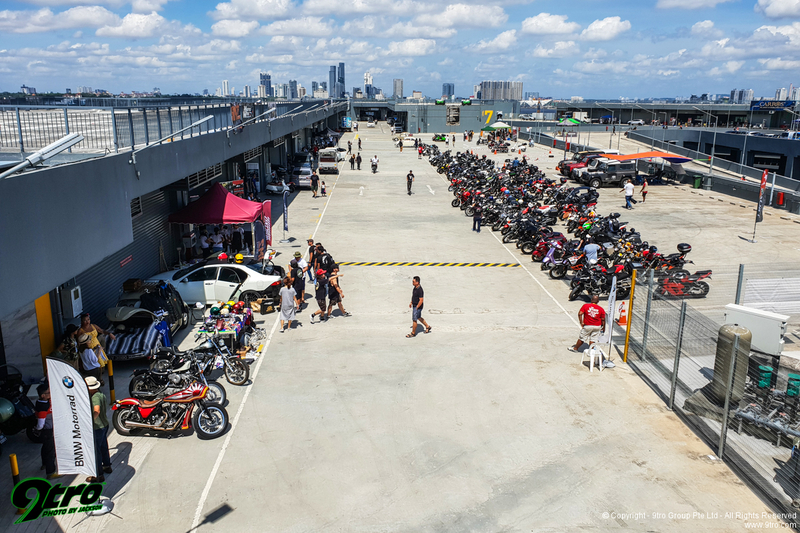 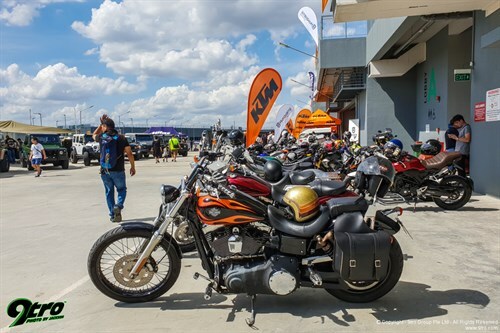 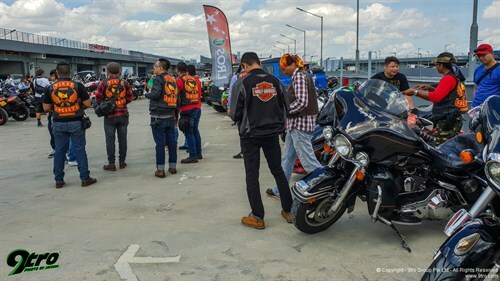 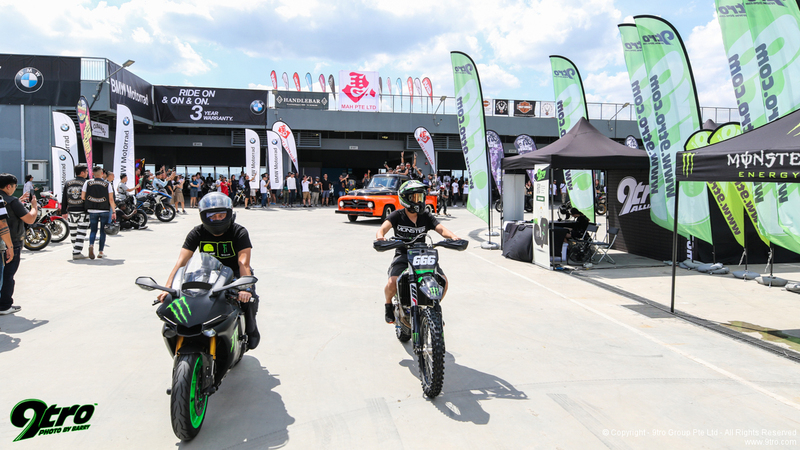 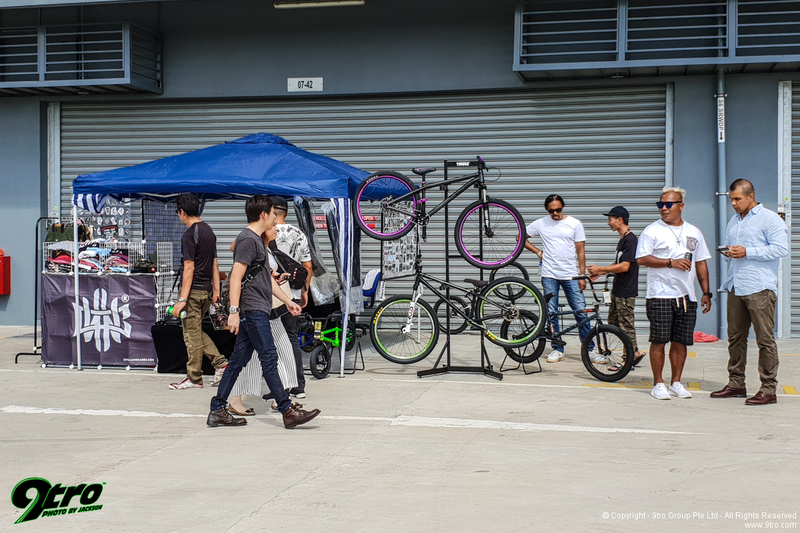 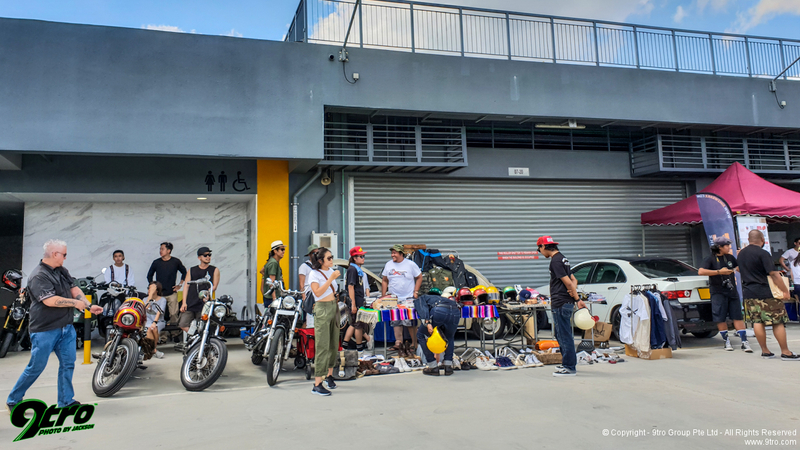 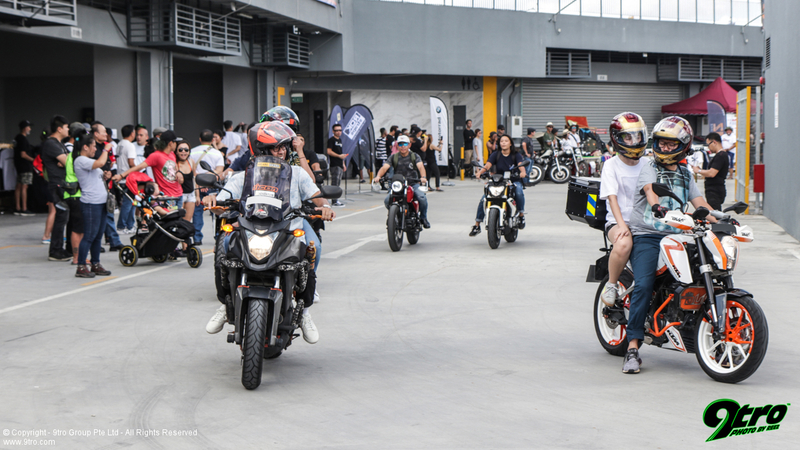 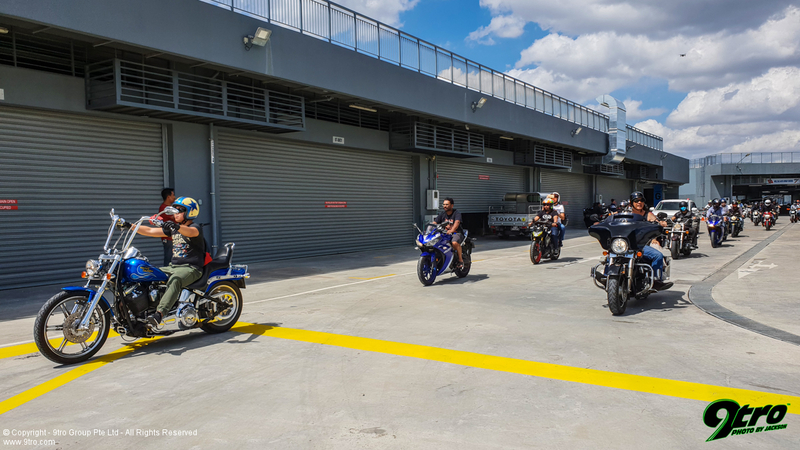 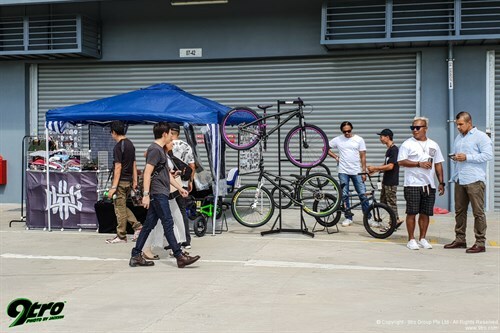 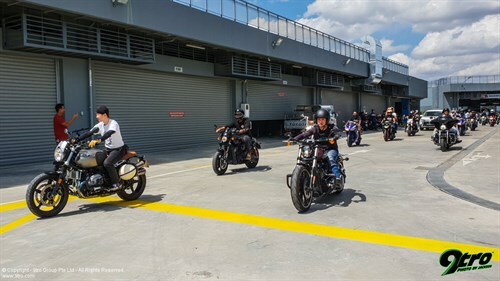 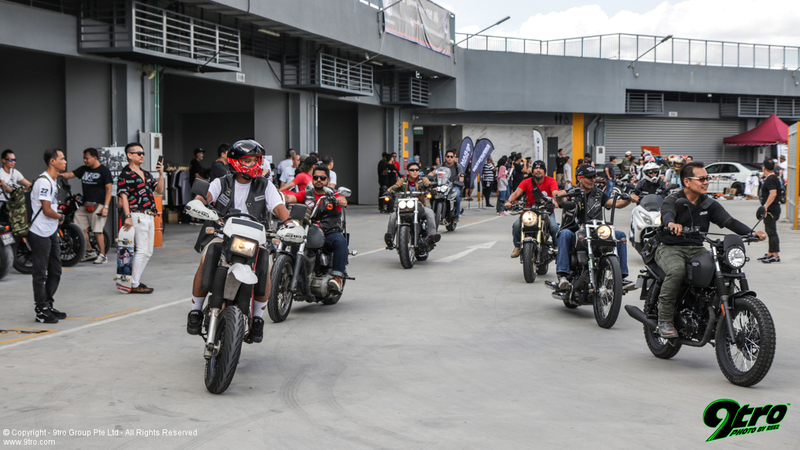 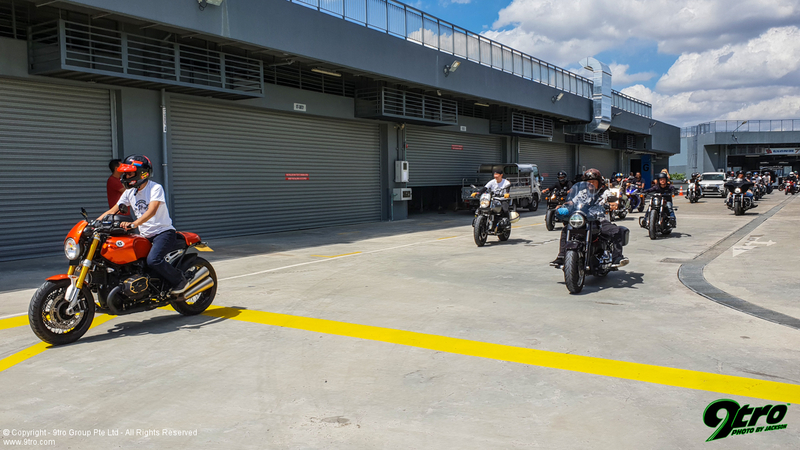 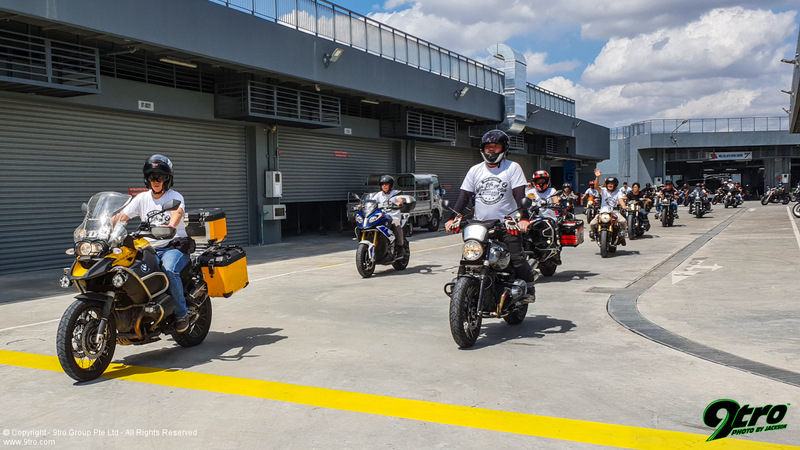 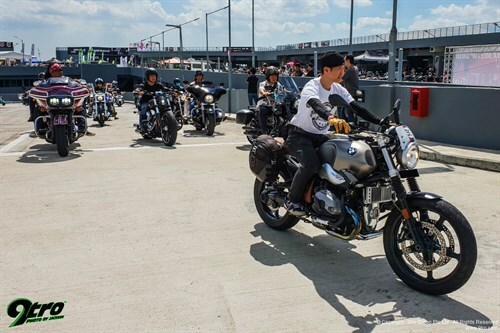 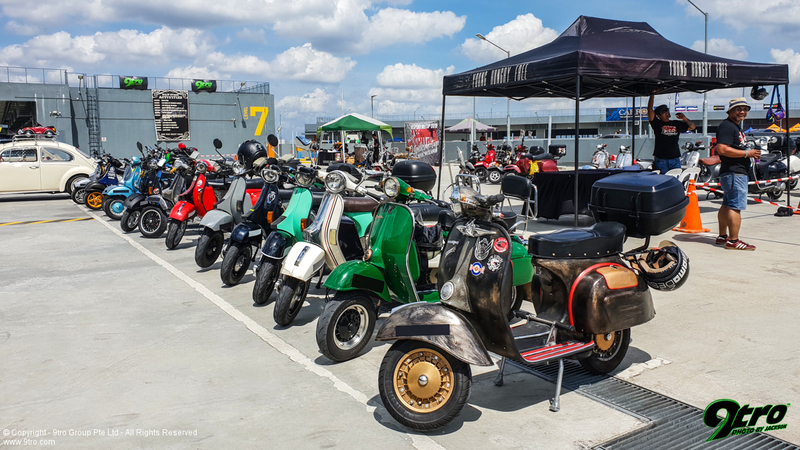 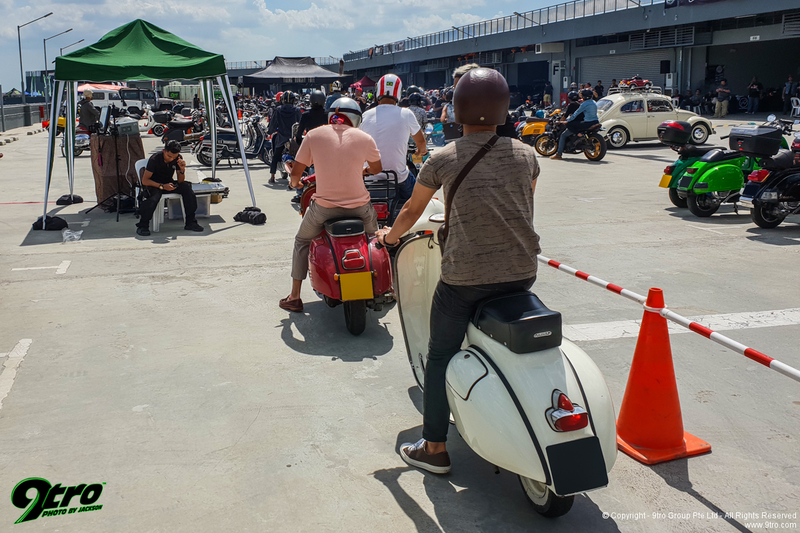 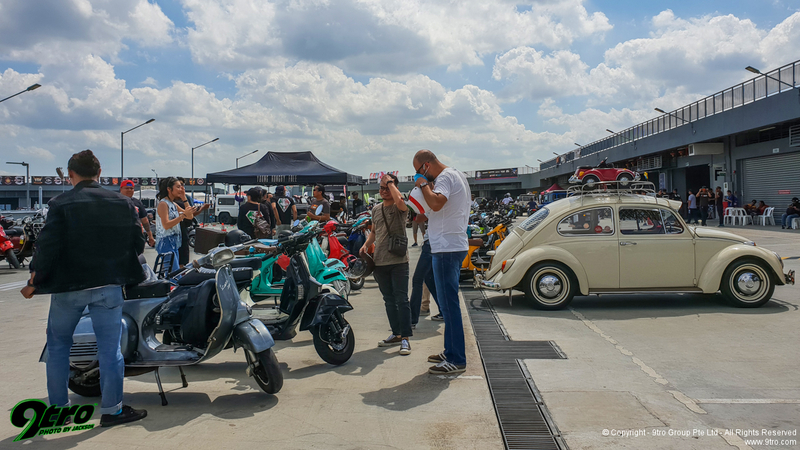 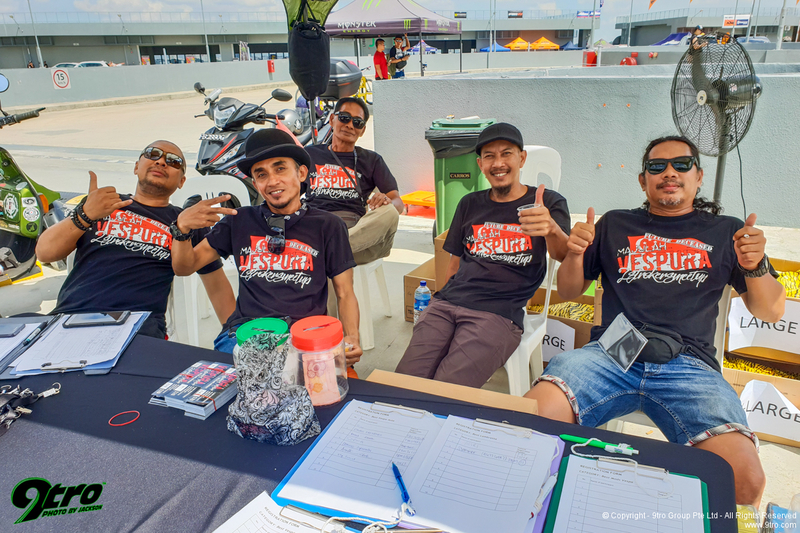 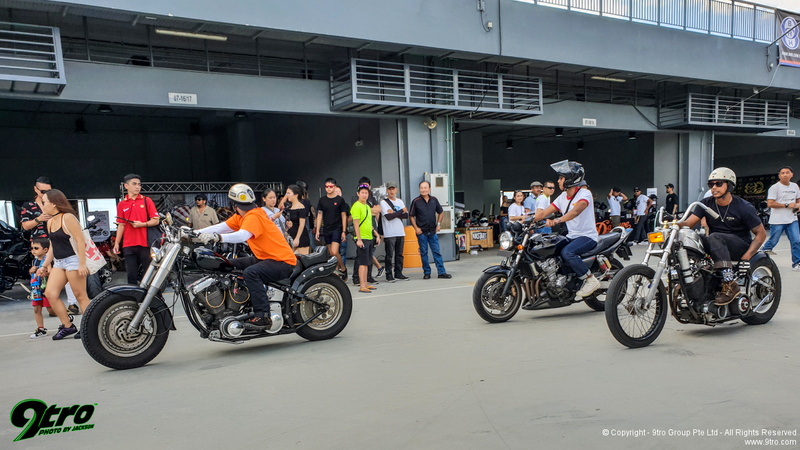 Officiating the launch of Wicked Wallop IV was a huge convoy that started at the ground floor of Carros Centre at 2pm involving a hundred over bikes and other classic vehicles that travelled all the way up to the roof before making a lap around the event grounds. 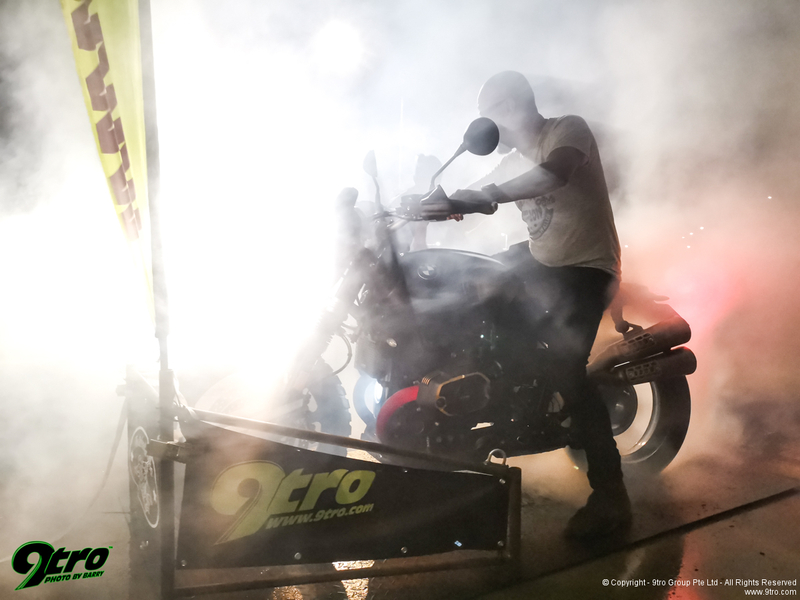 It was a sight to behold and a splendid way to usher in the real party that was about to begin. 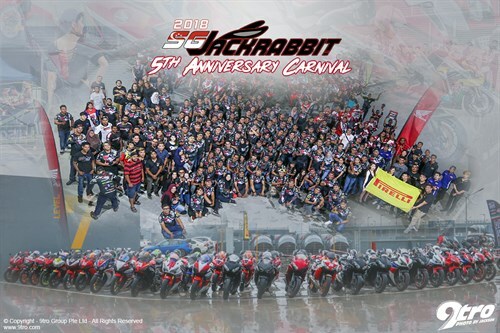 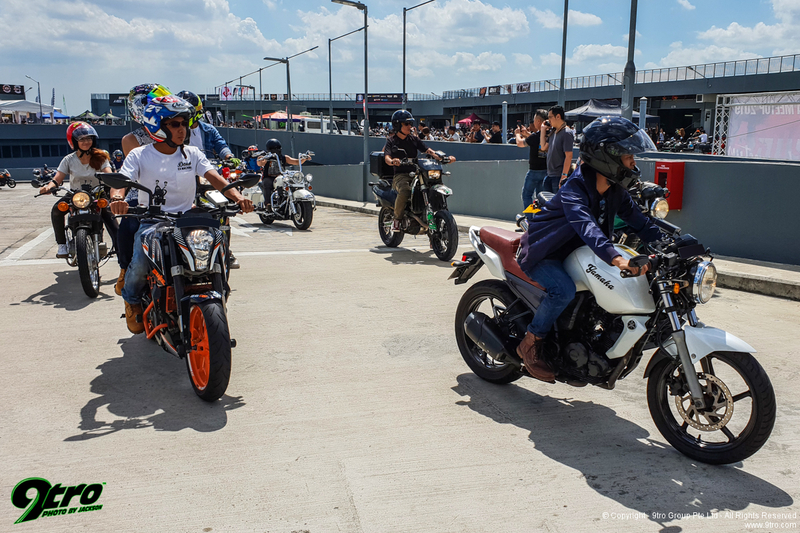 2018 SGJackRabbit 5th Anniversary Carnival19 Oct 20189tro checks out the biggest Honda CBR meet right here on our island! 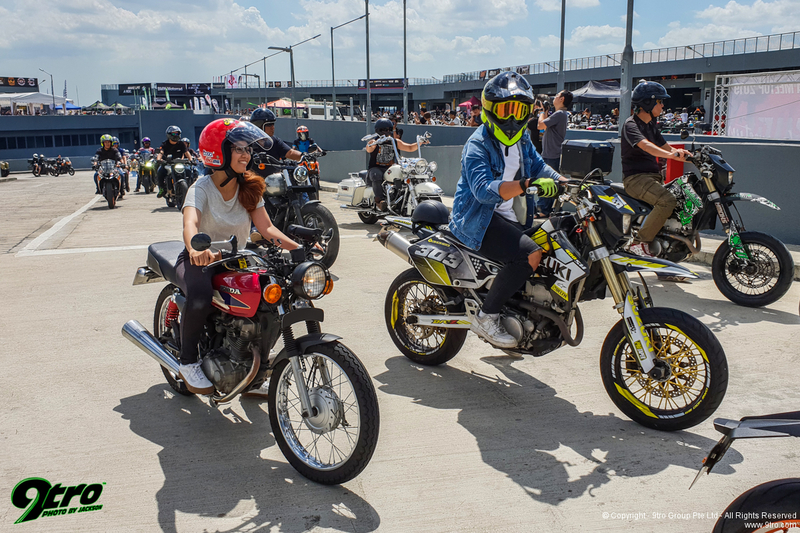 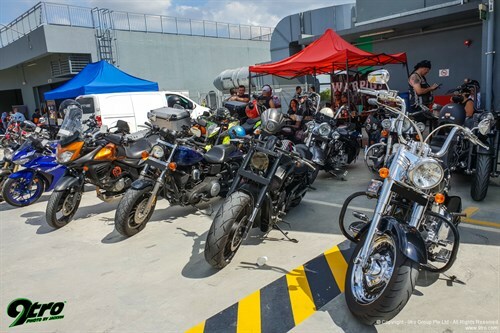 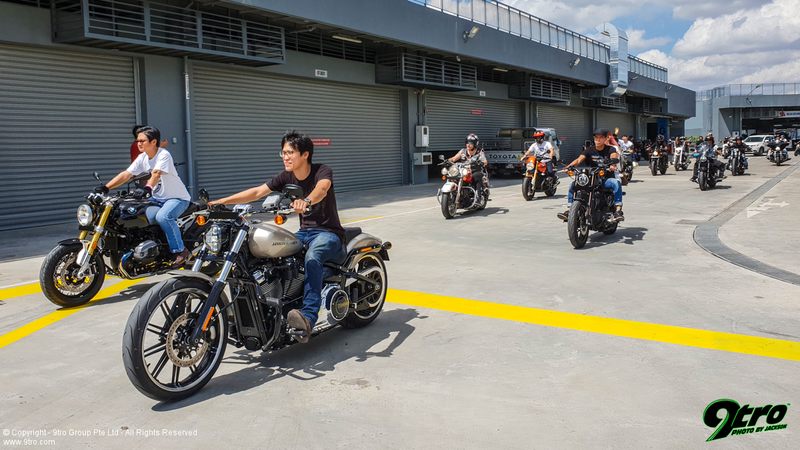 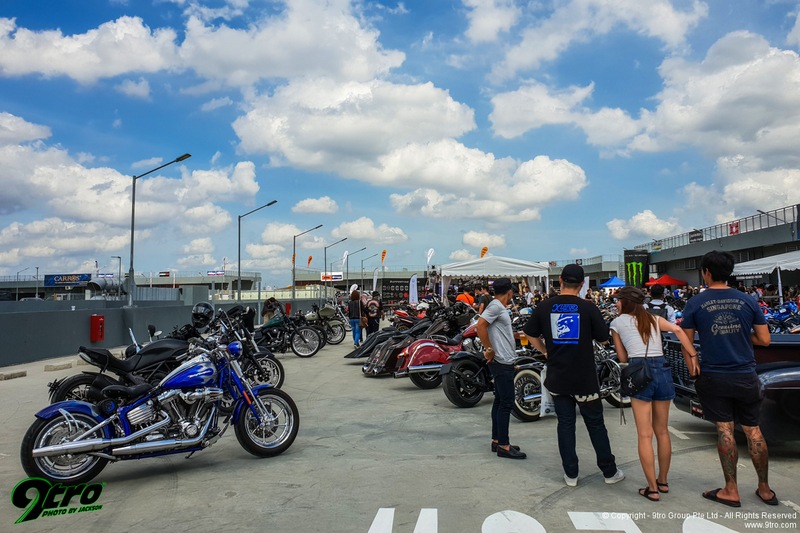 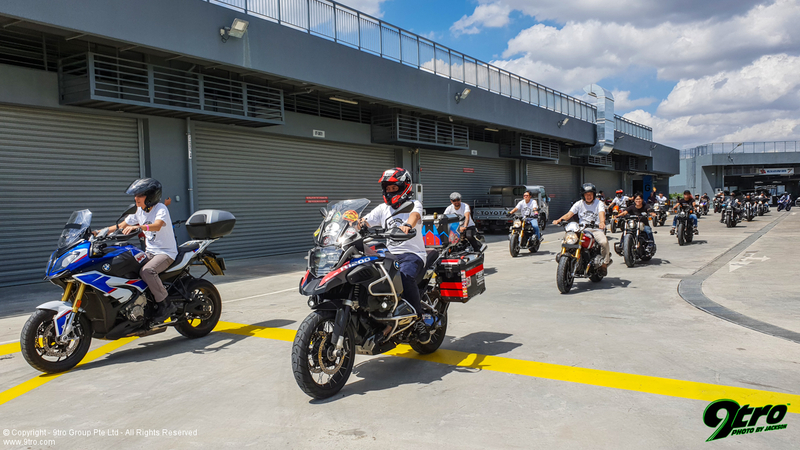 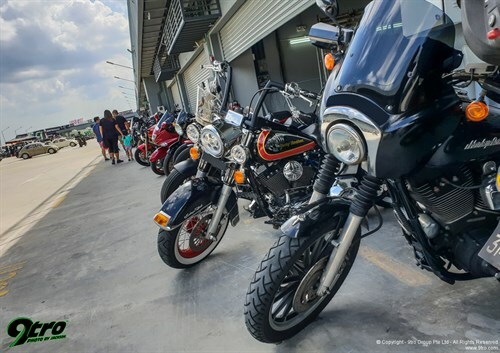 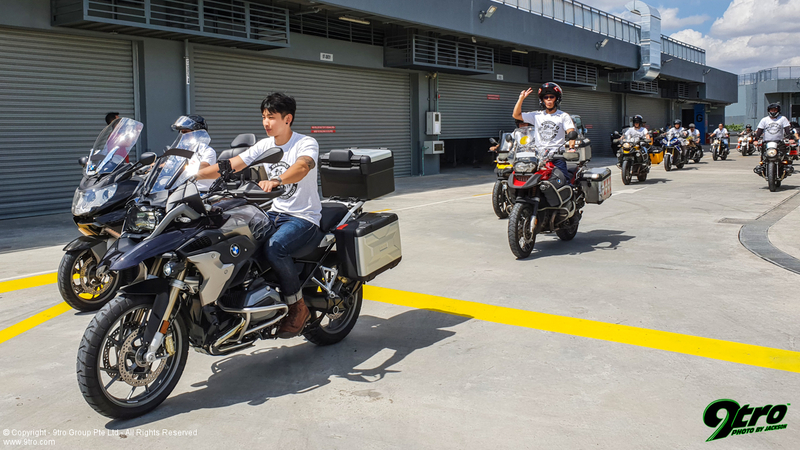 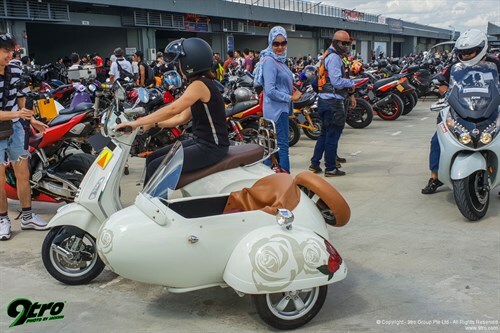 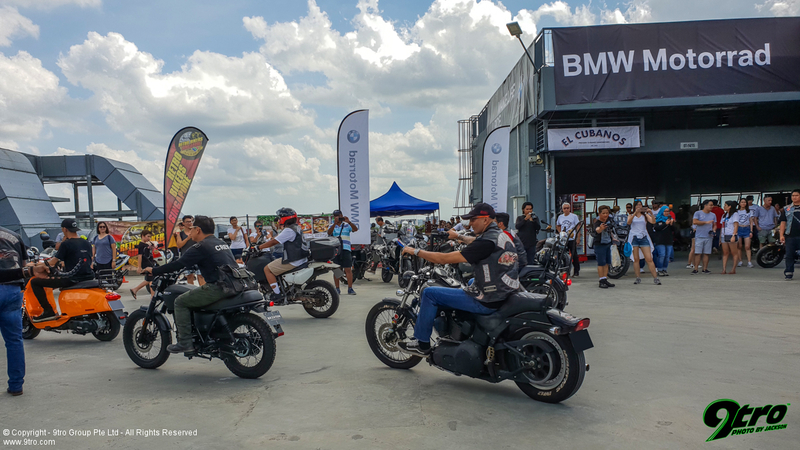 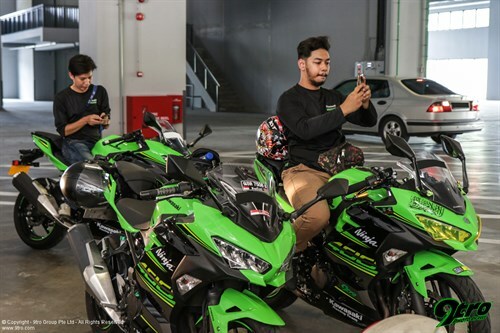 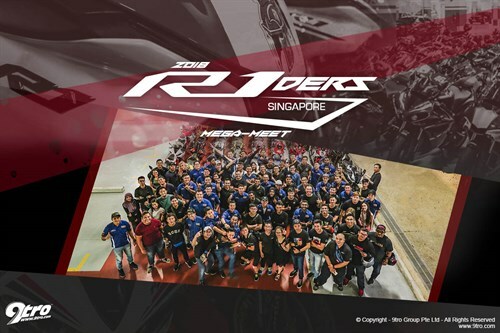 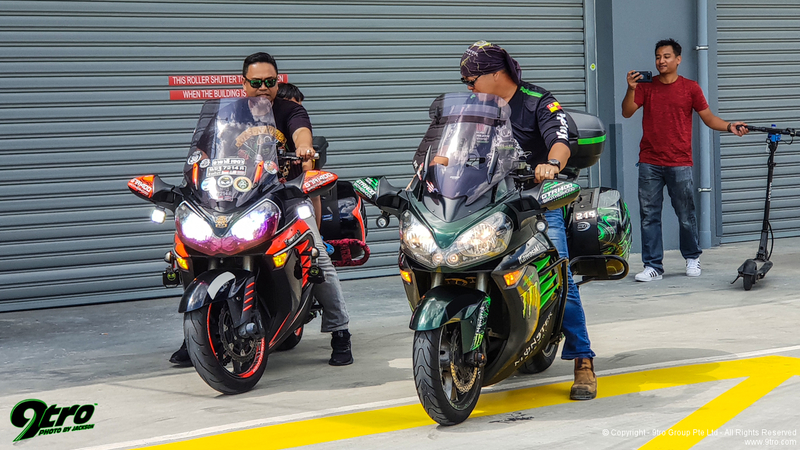 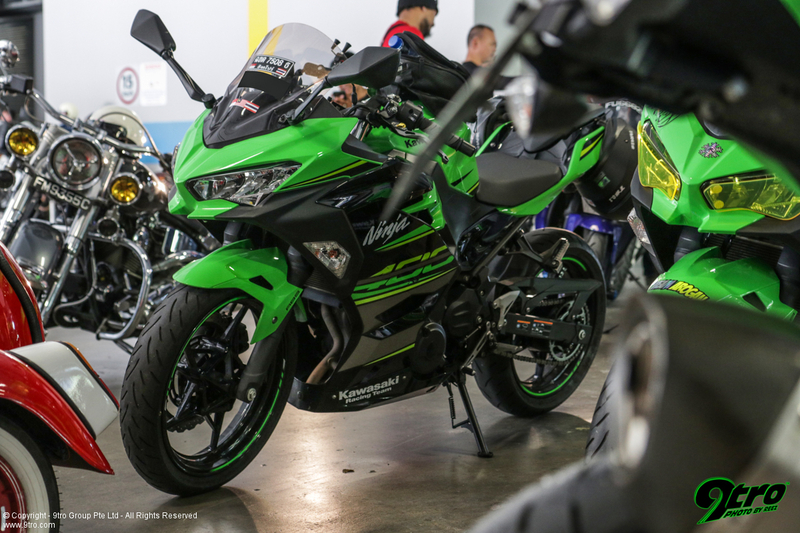 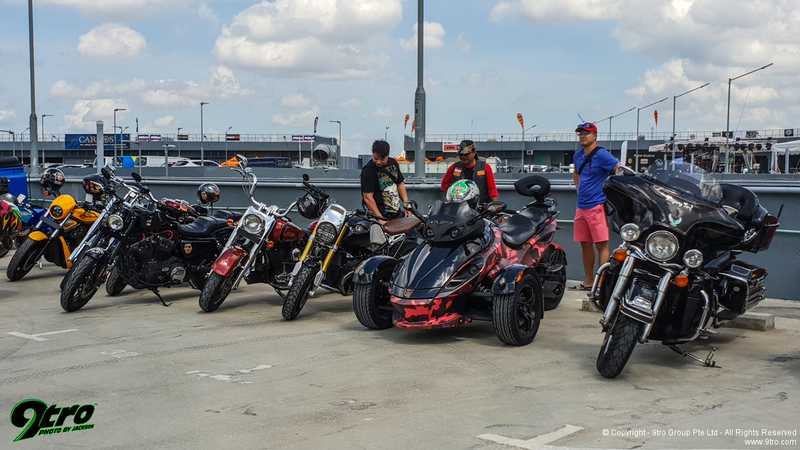 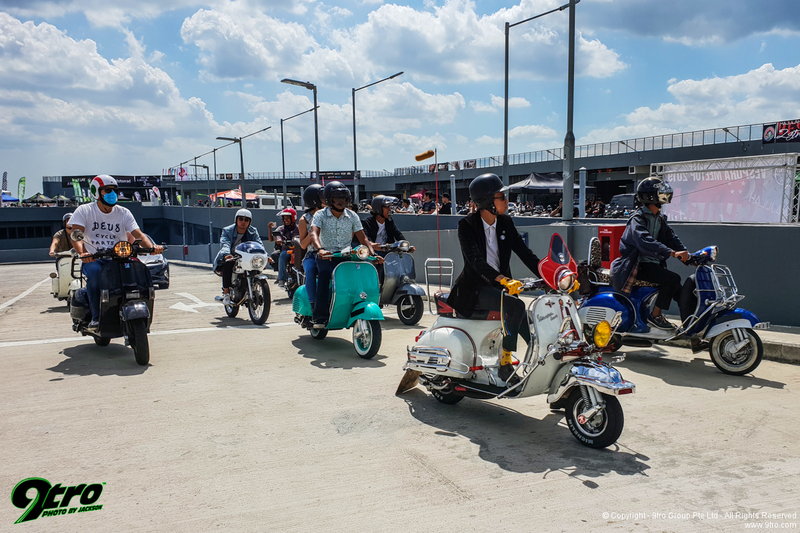 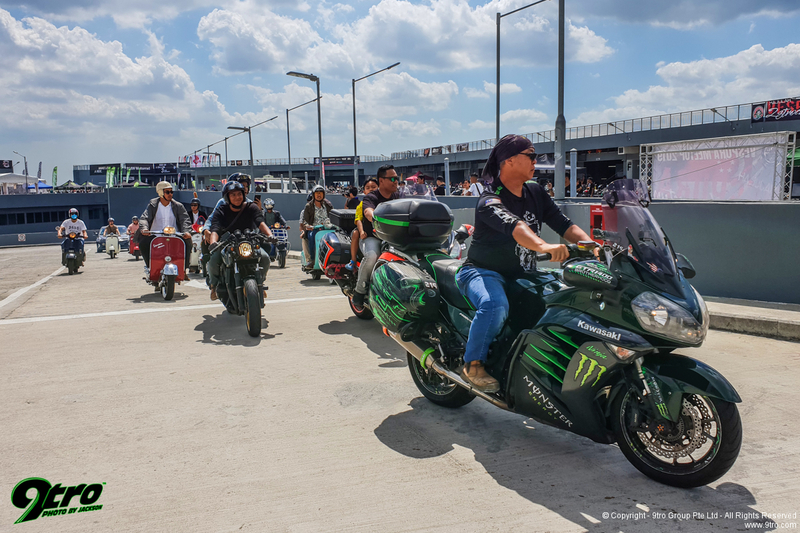 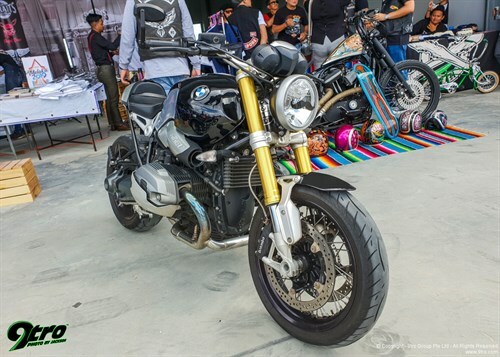 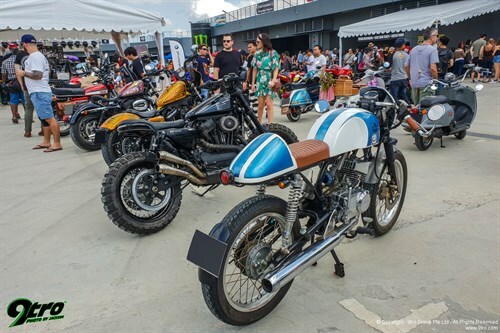 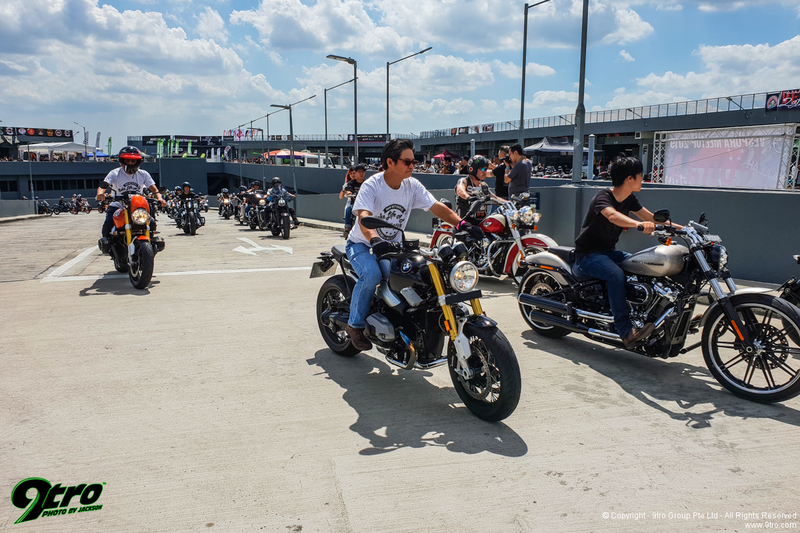 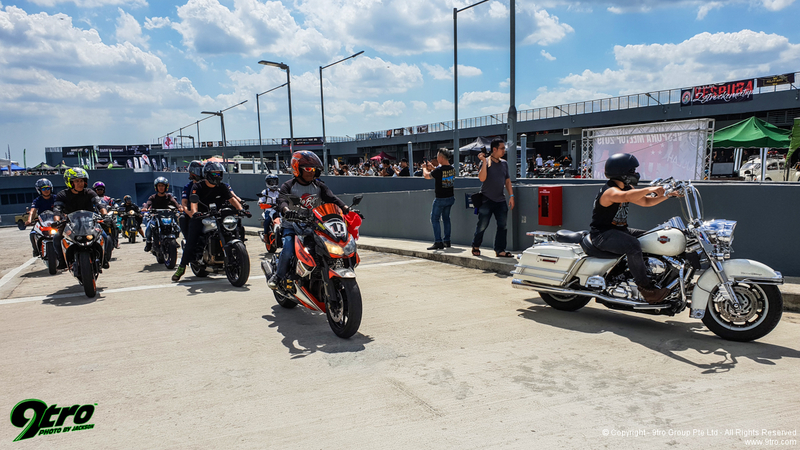 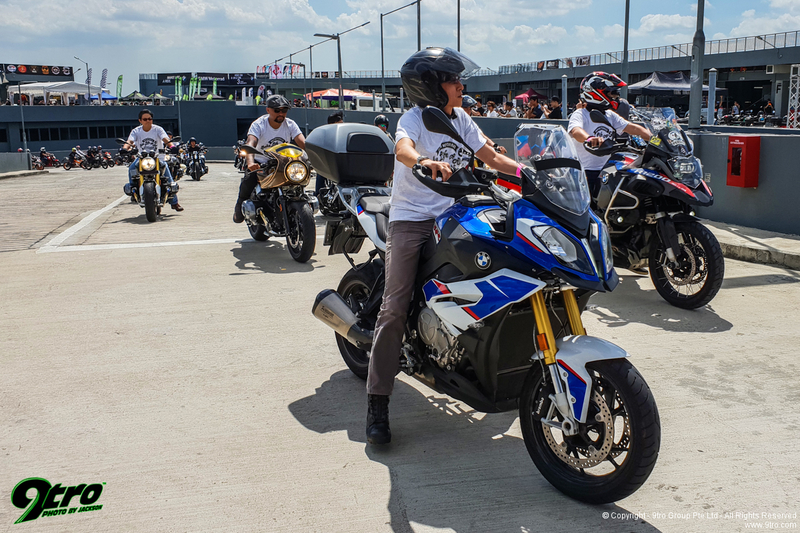 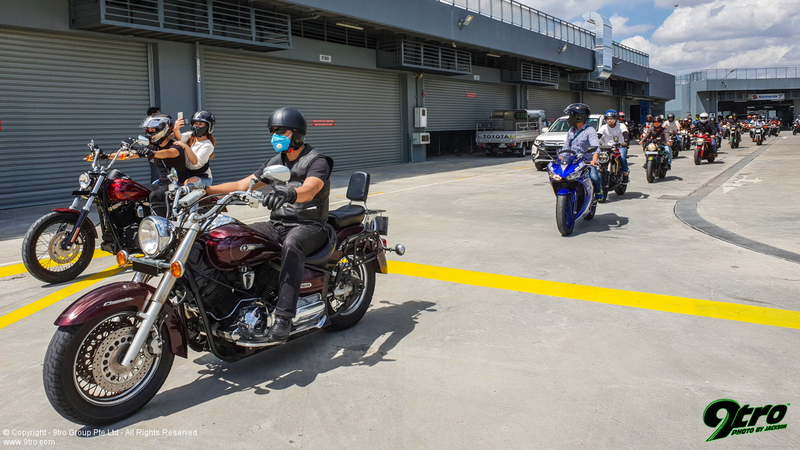 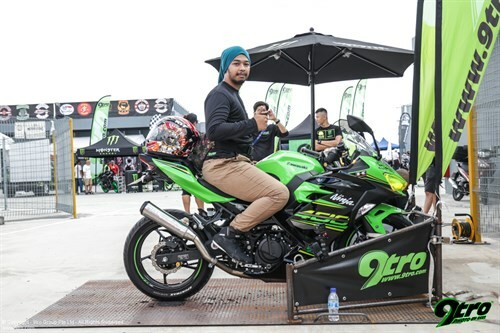 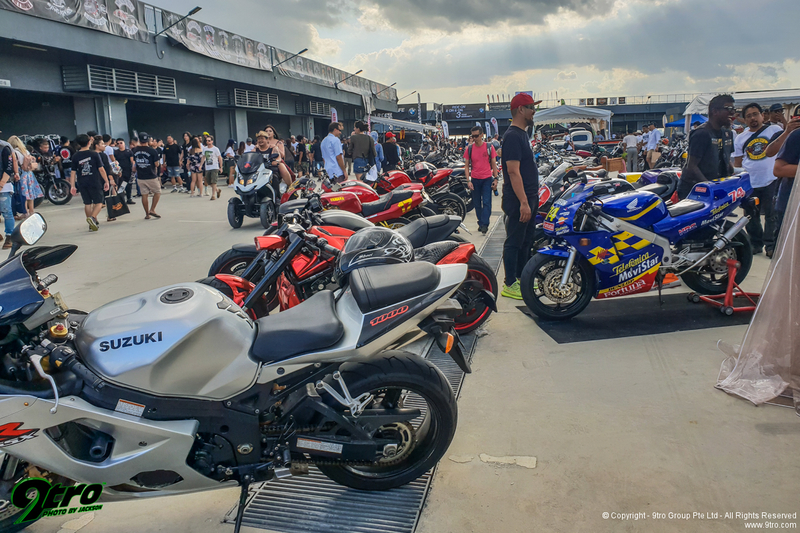 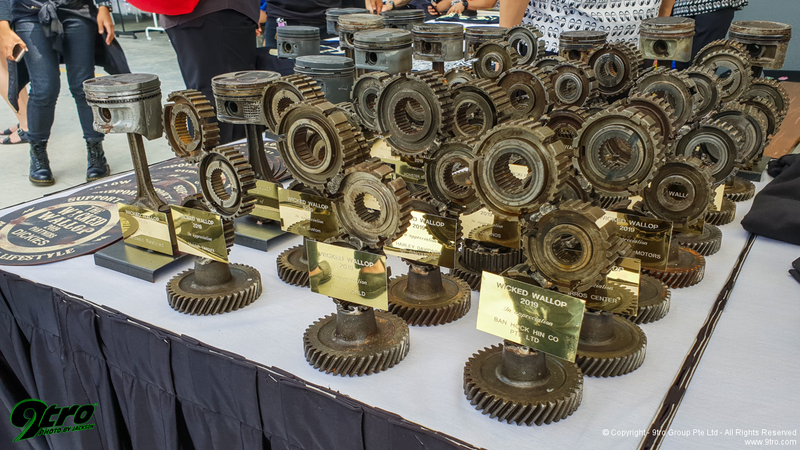 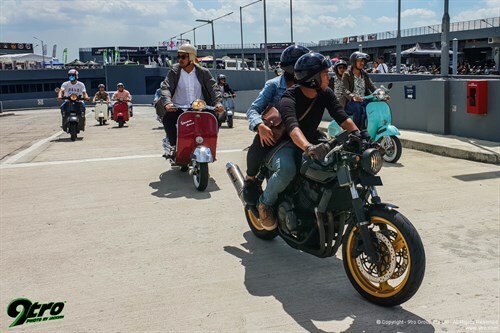 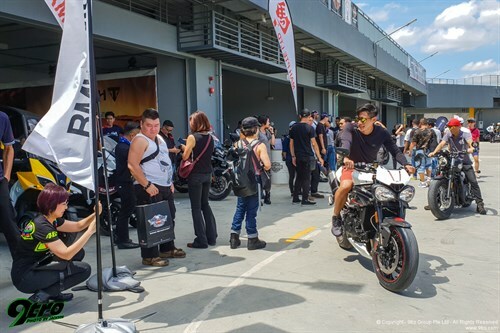 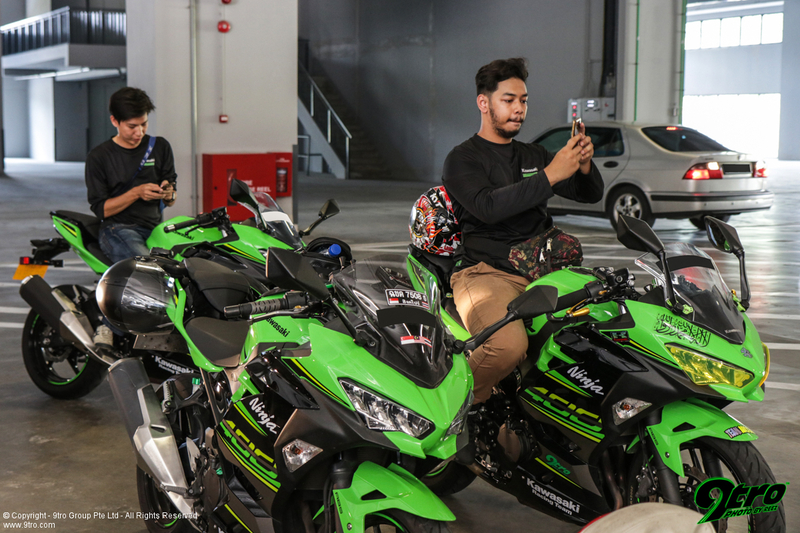 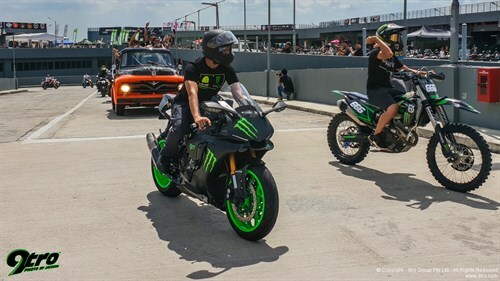 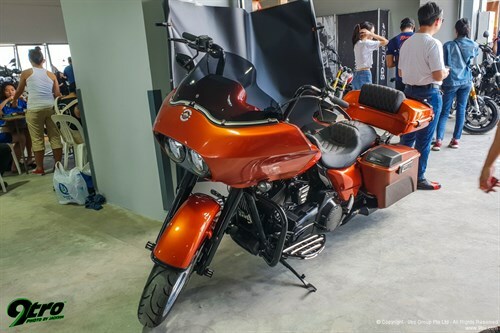 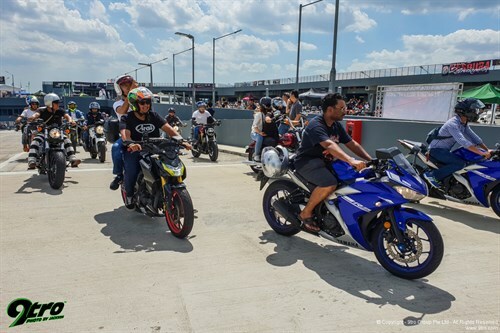 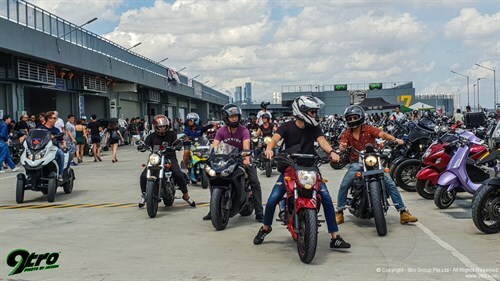 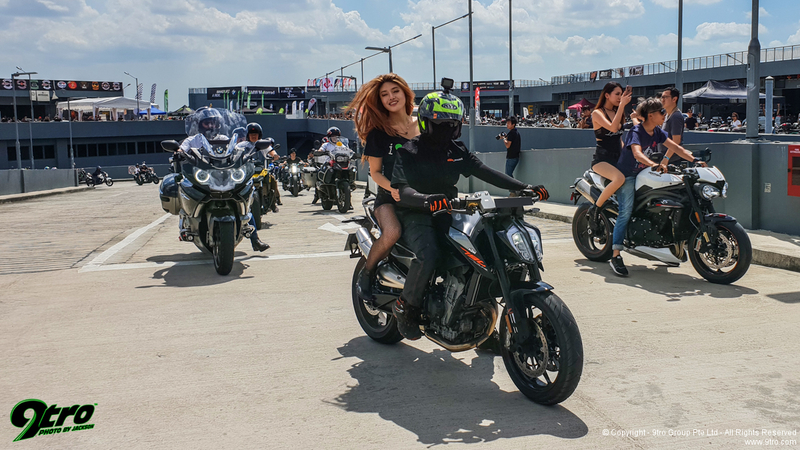 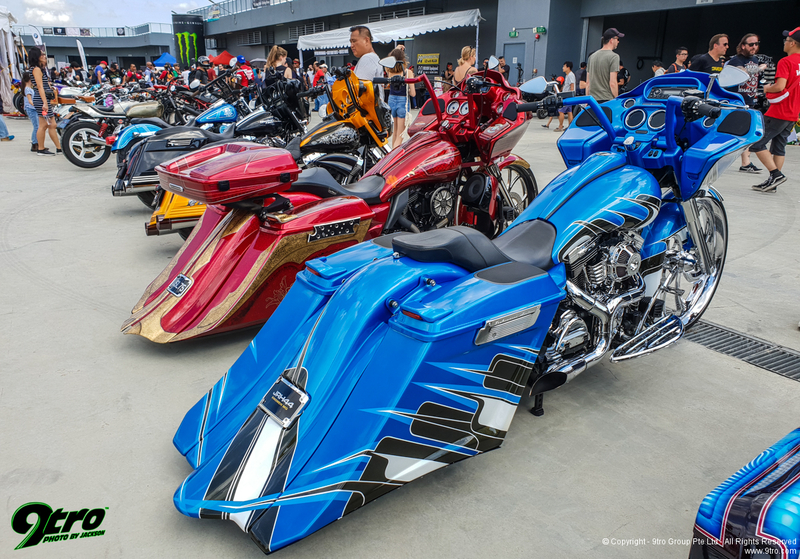 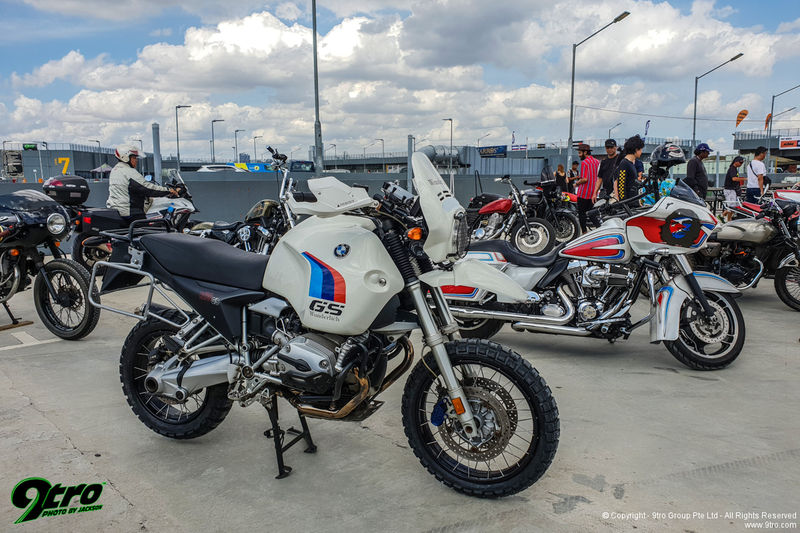 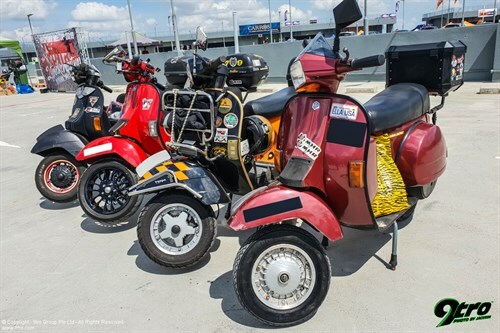 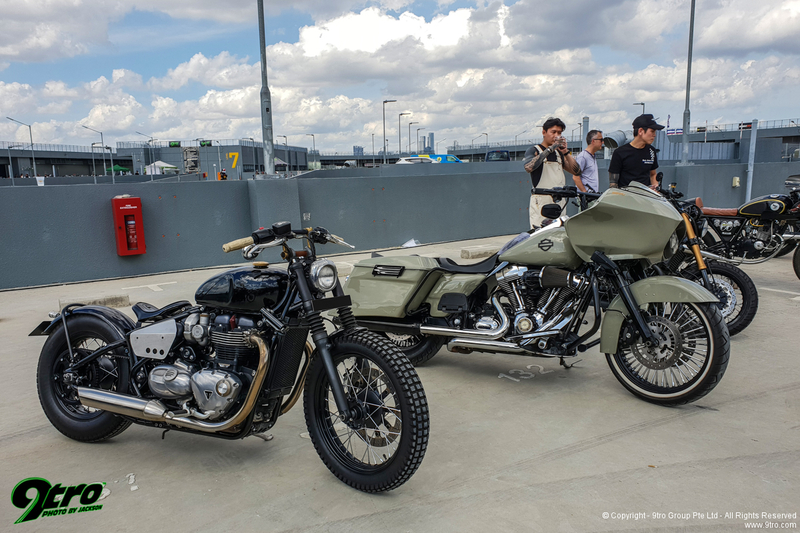 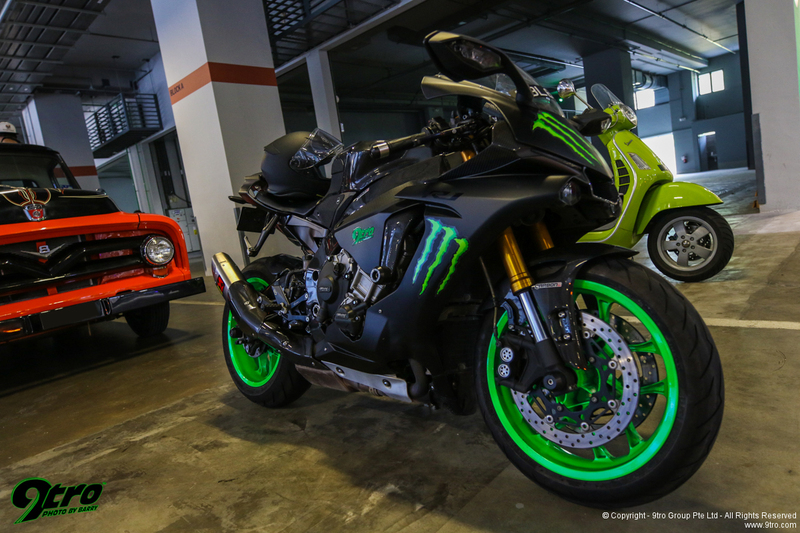 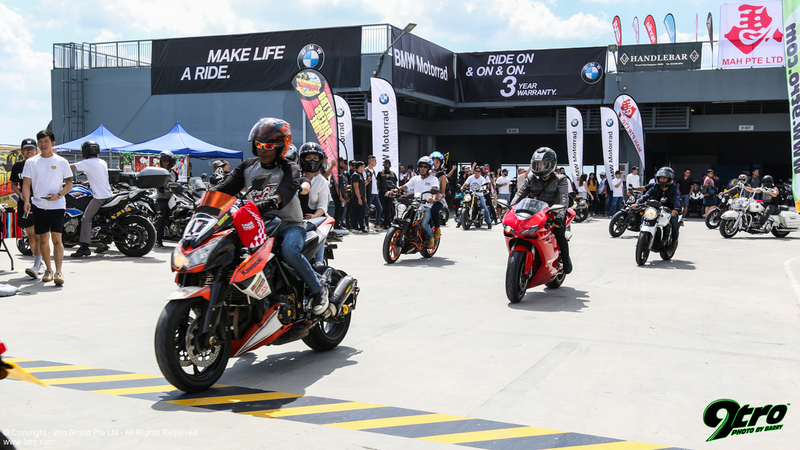 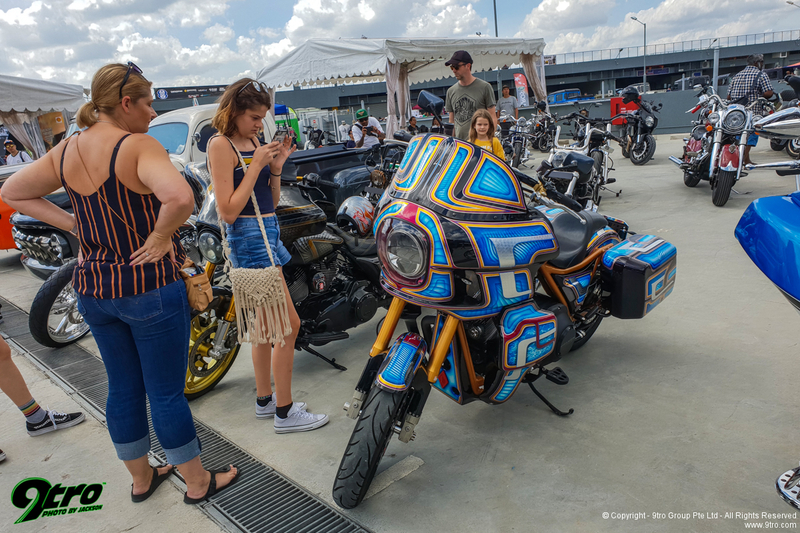 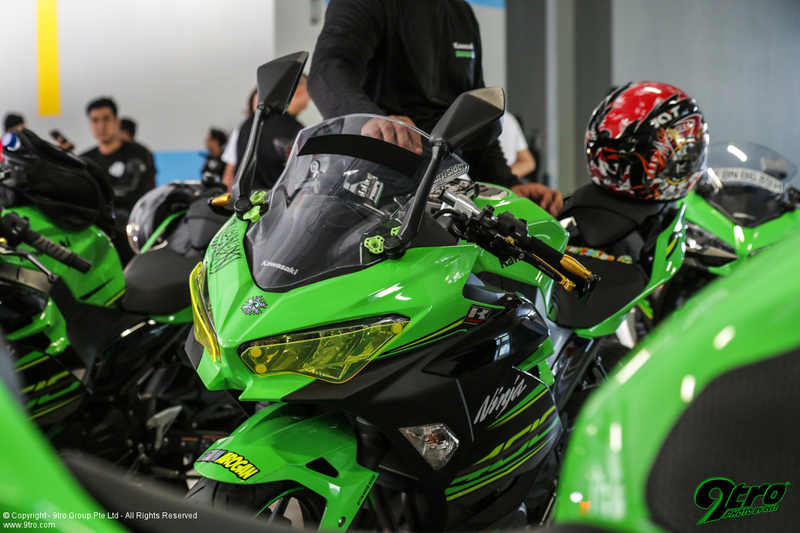 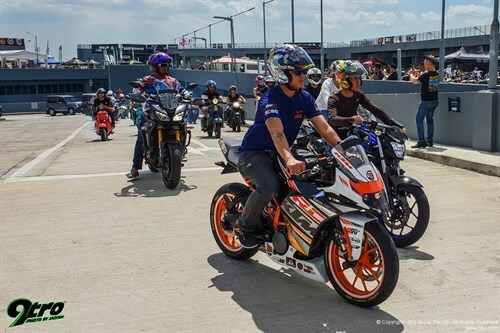 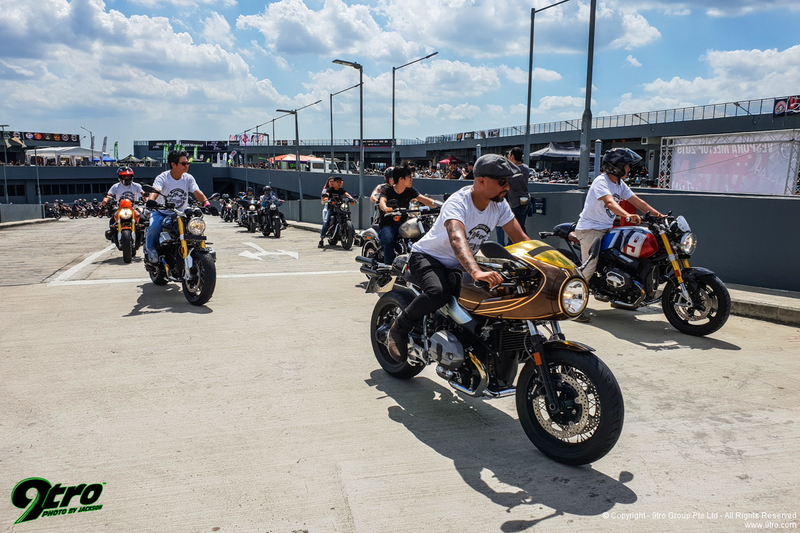 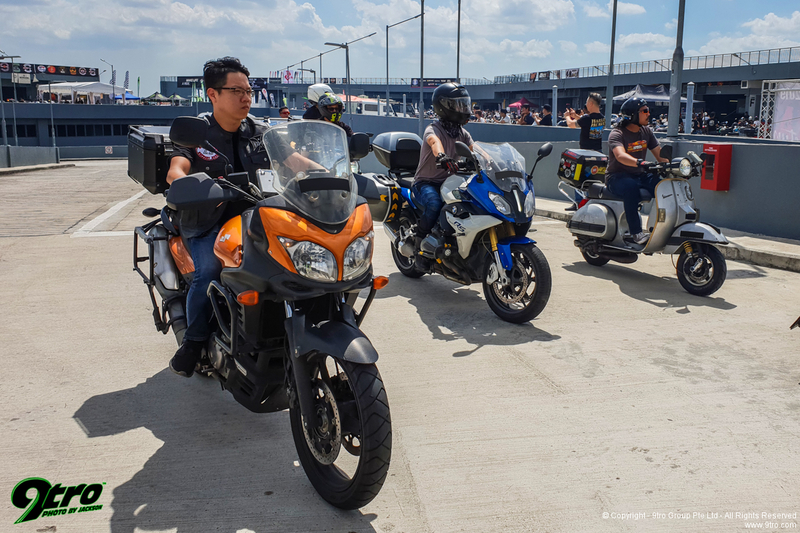 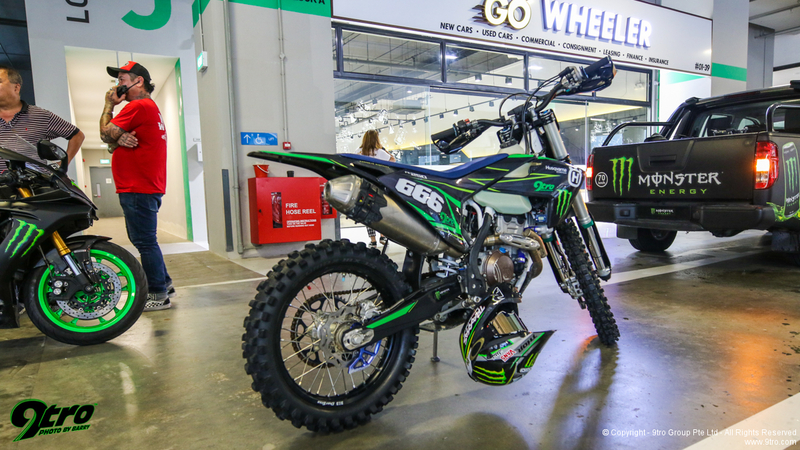 2018 R1ders Singapore Mega-Meet18 Jul 2018Witness the spectacle of over 70 of these potent motorbikes from Singapore and Malaysia gathered together! The best looking bike competition parking area! Tattoo competition judging in progress. 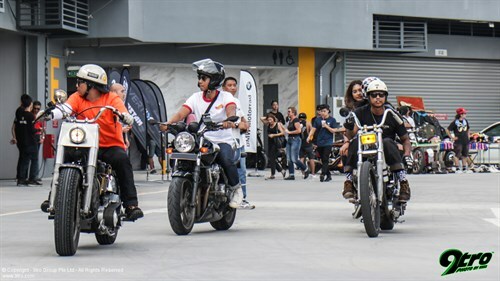 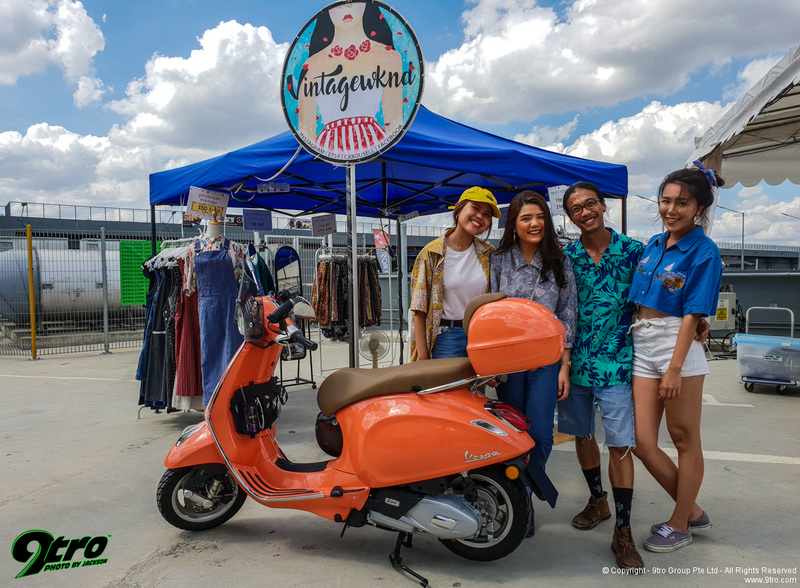 From there on out it was a flurry of activities from bike competitions, to tattoo judging, live bands performing and everything else in between! 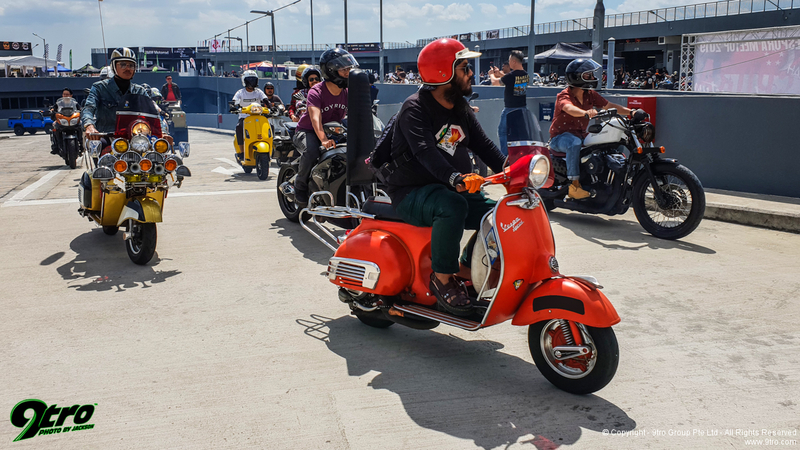 Speaking of types of bikes, Wicked Wallop had just about every single type of bike, from tiny Vespas to massive Adventure bikes and Harleys, it was a sight to behold. 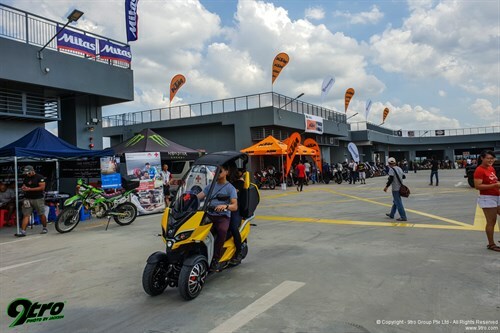 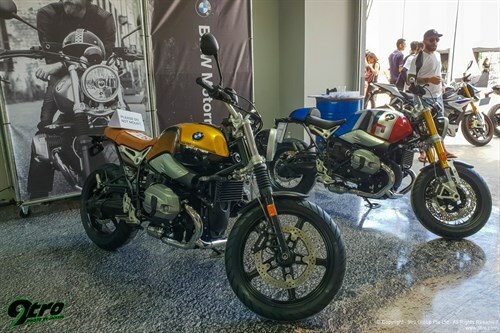 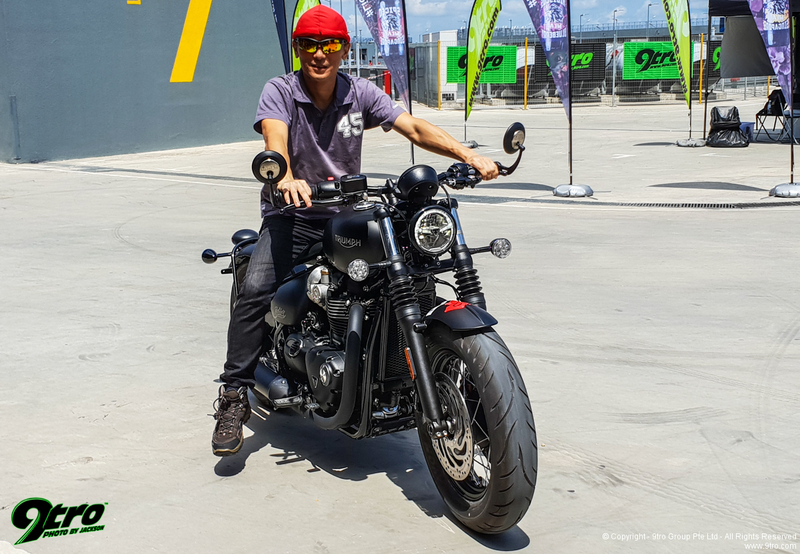 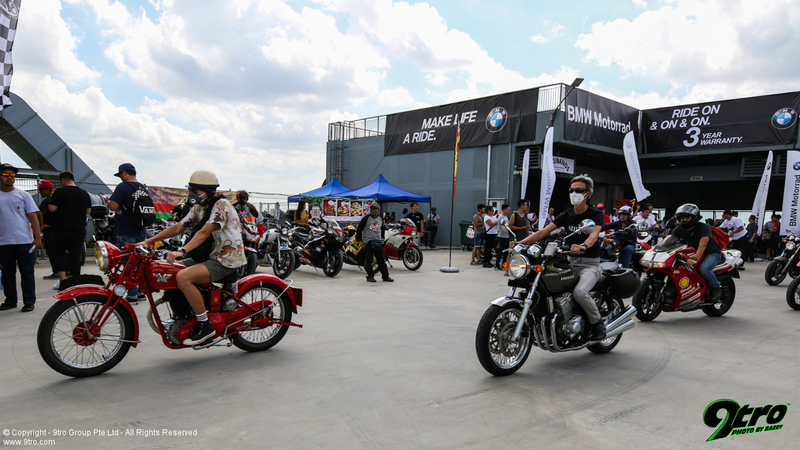 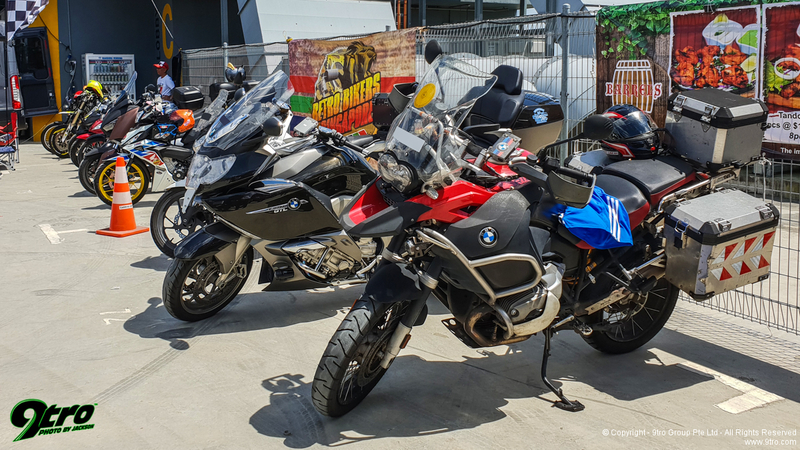 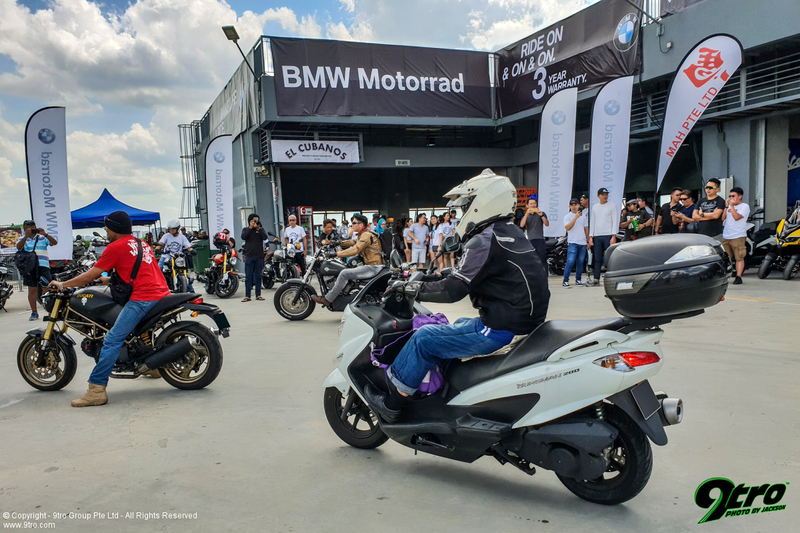 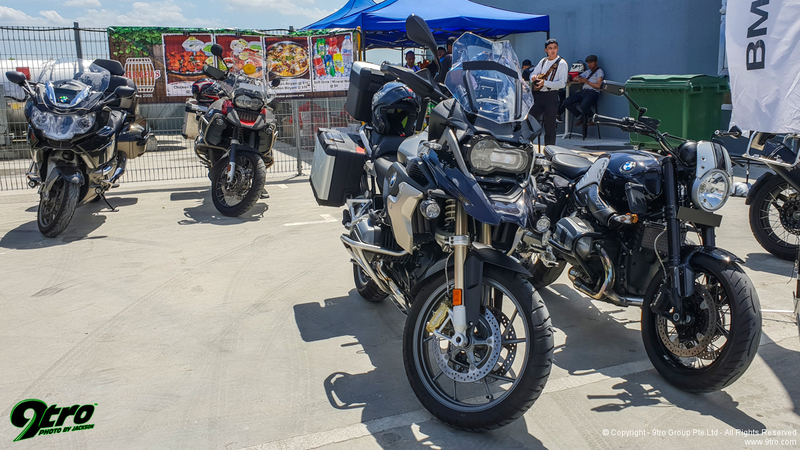 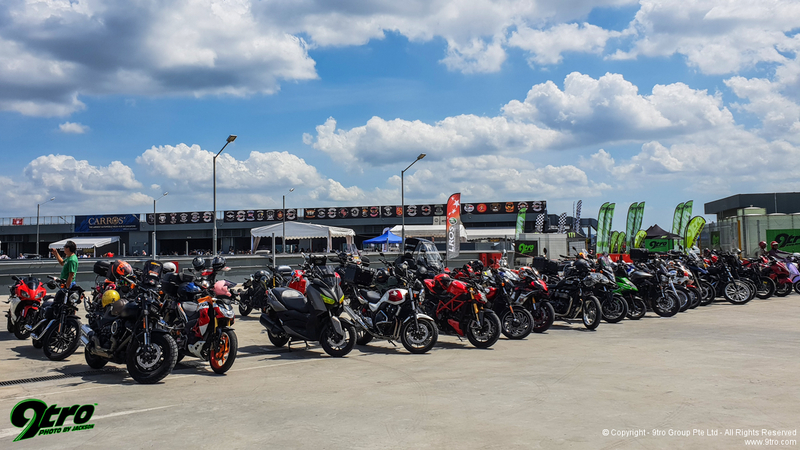 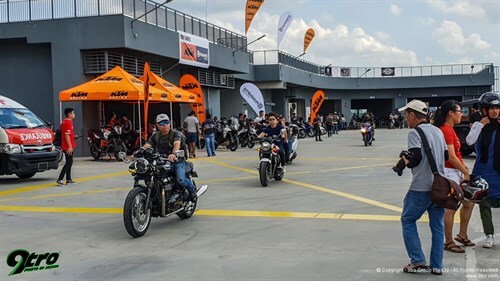 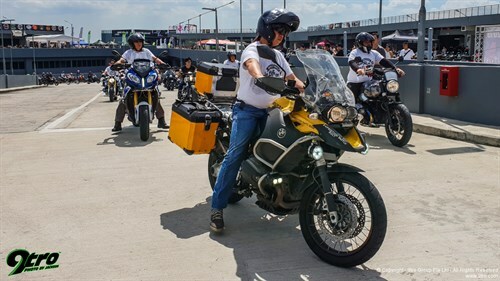 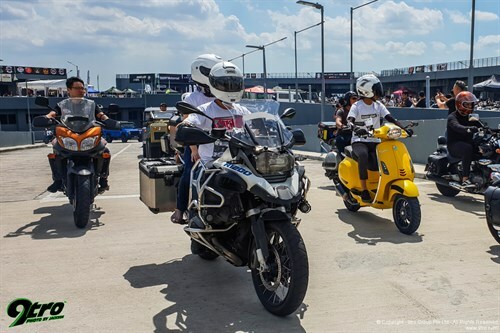 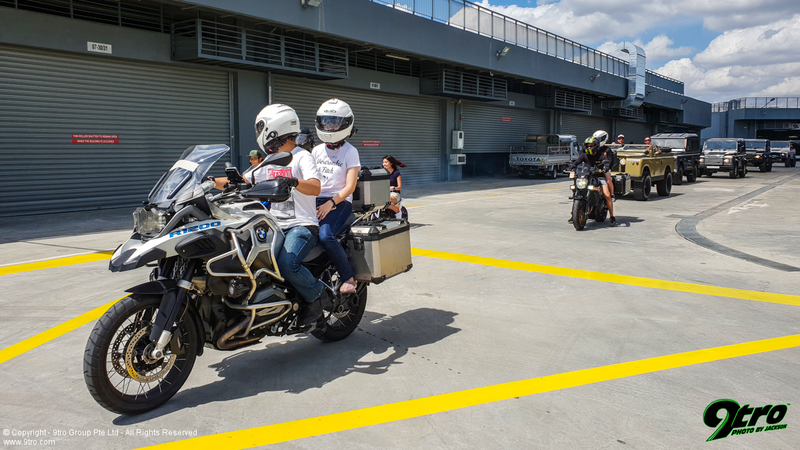 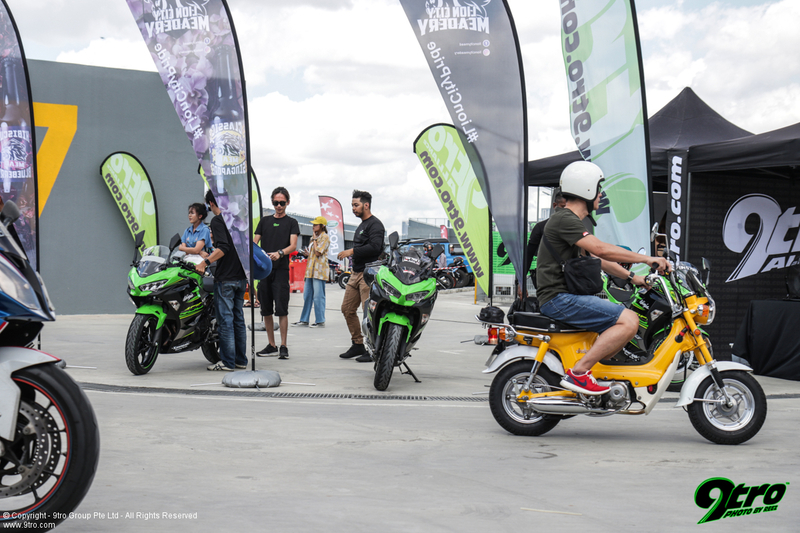 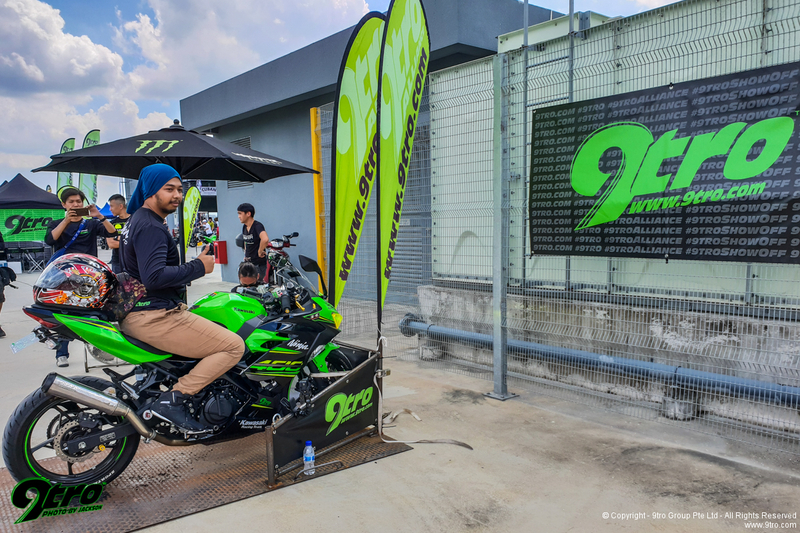 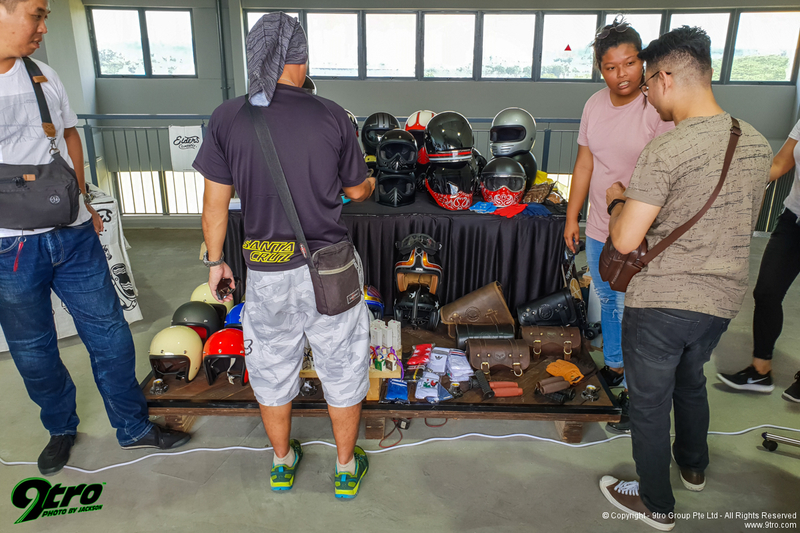 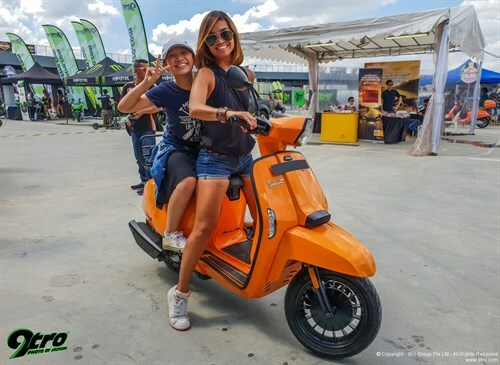 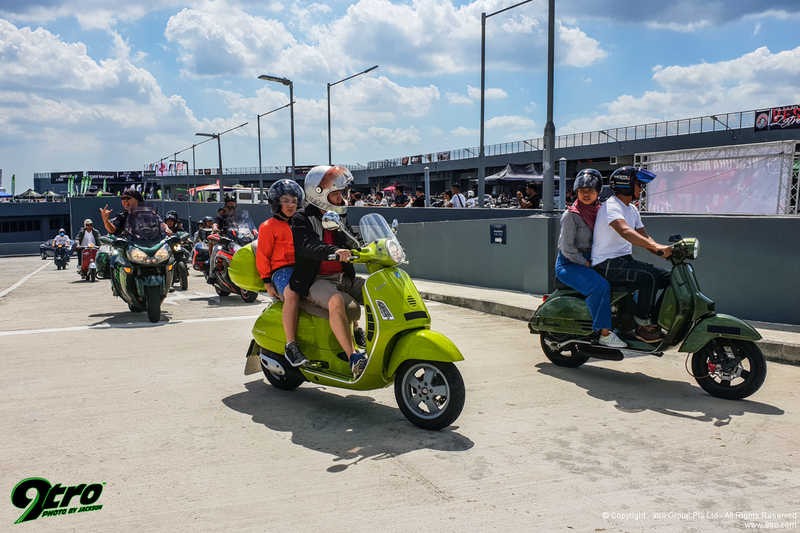 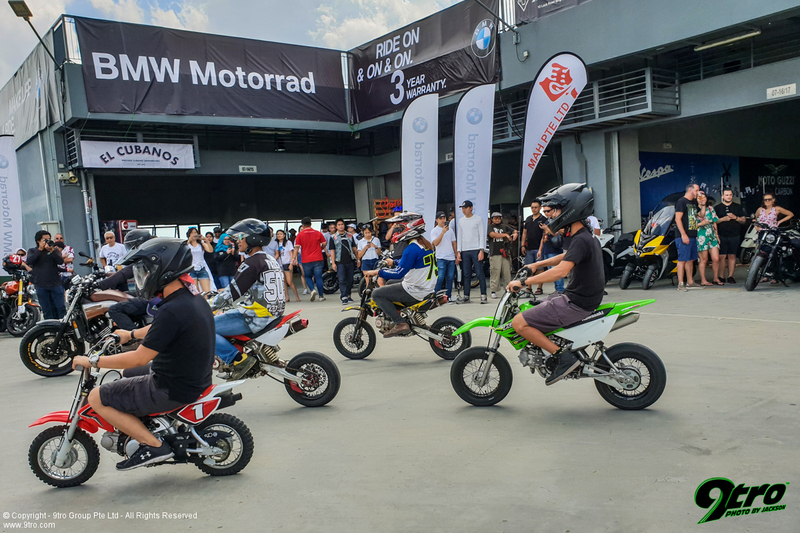 The official motorcycle distributors like Mah Motor were carrying out test-rides for interested attendees who got to go for a few laps around the roof top of Carros! 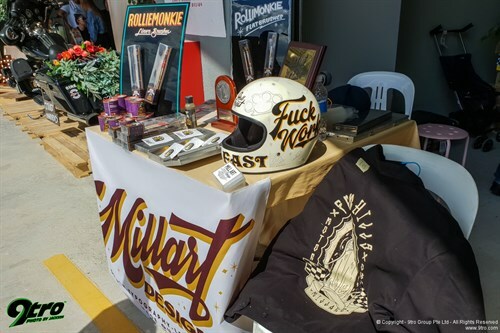 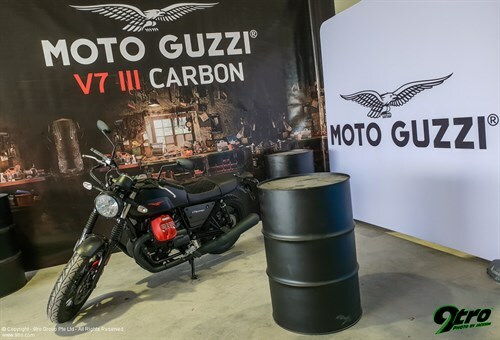 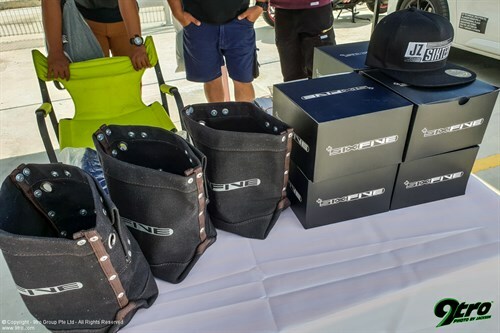 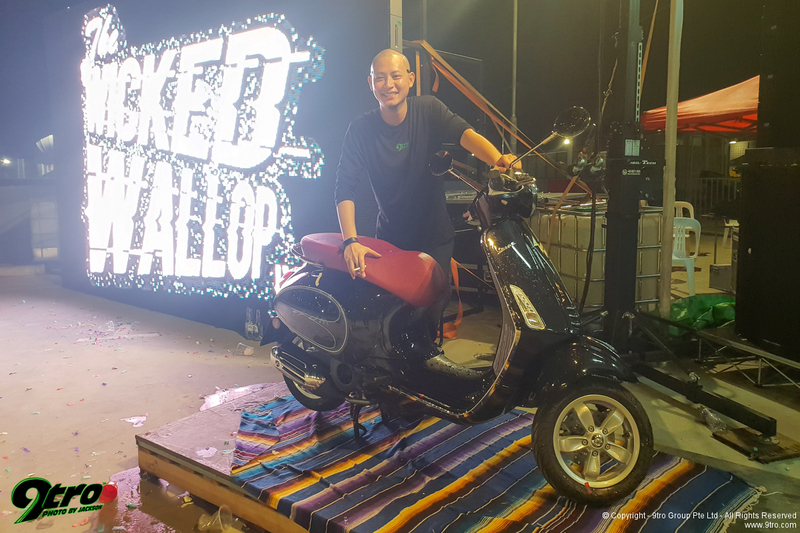 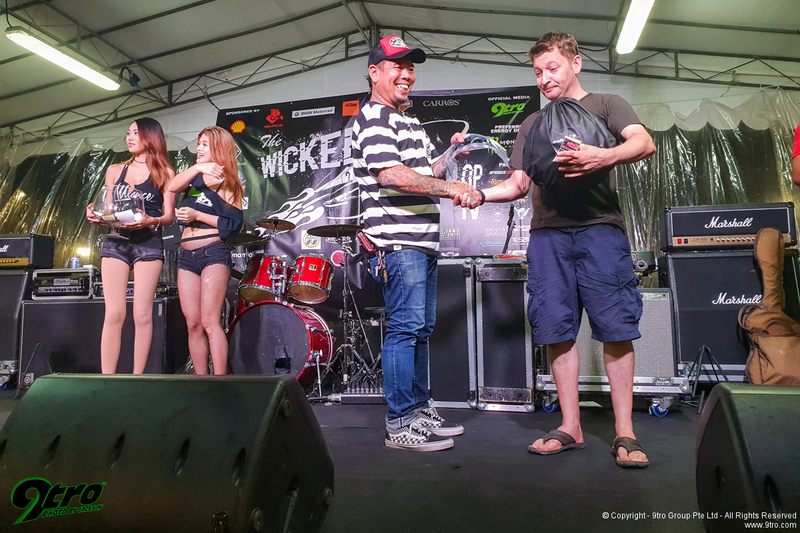 Besides the massive support from the various motorcycle groups, Wicked Wallop had the sponsorship of the official distributors of various bike brands here in Singapore, which included Mah Motor (Adiva, Aprilia, Moto Guzzi, Vespa/Piaggio, SYM, Triumph, Indian/Victory, Givi); BMW Motorrad Singapore and Harley-Davidson Singapore. 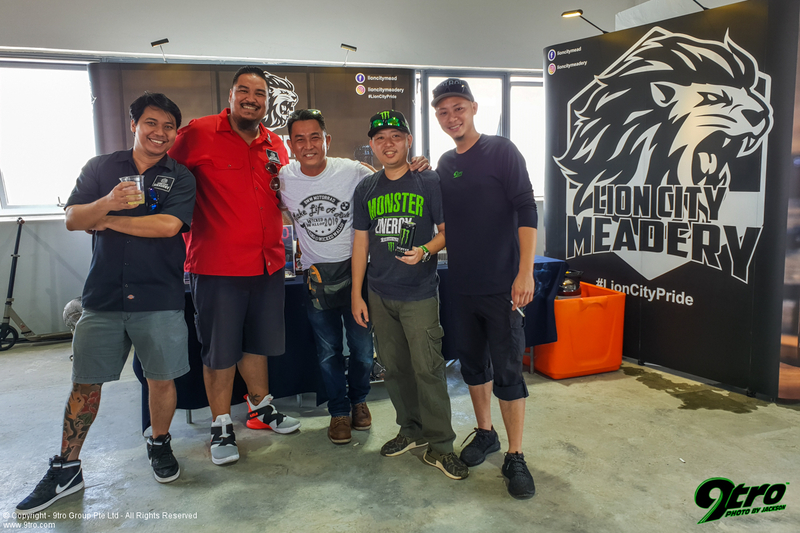 The guys from SIMZ Werkz were here as well! 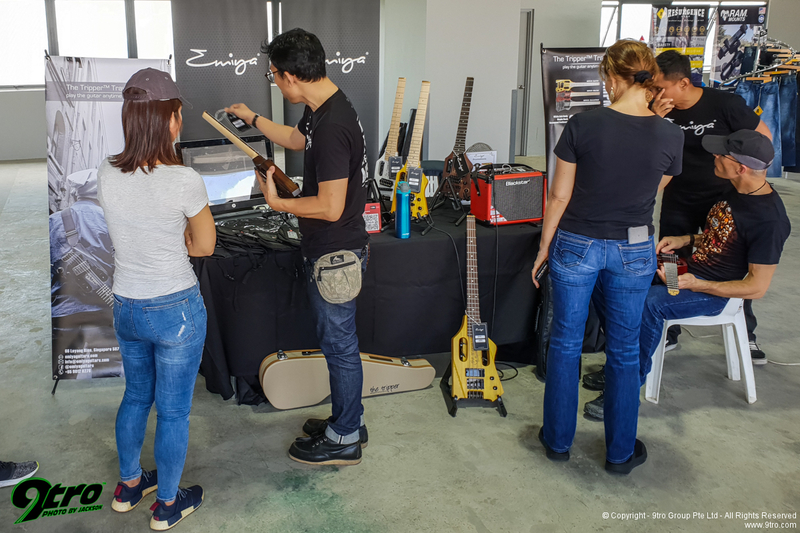 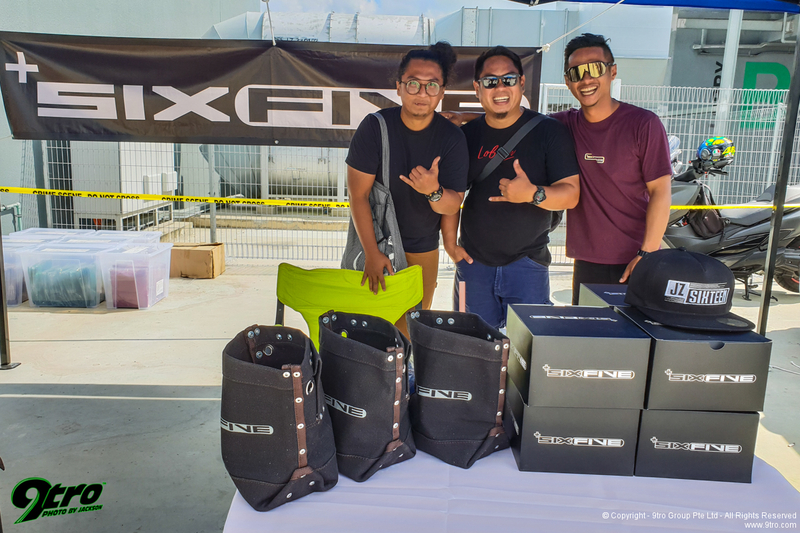 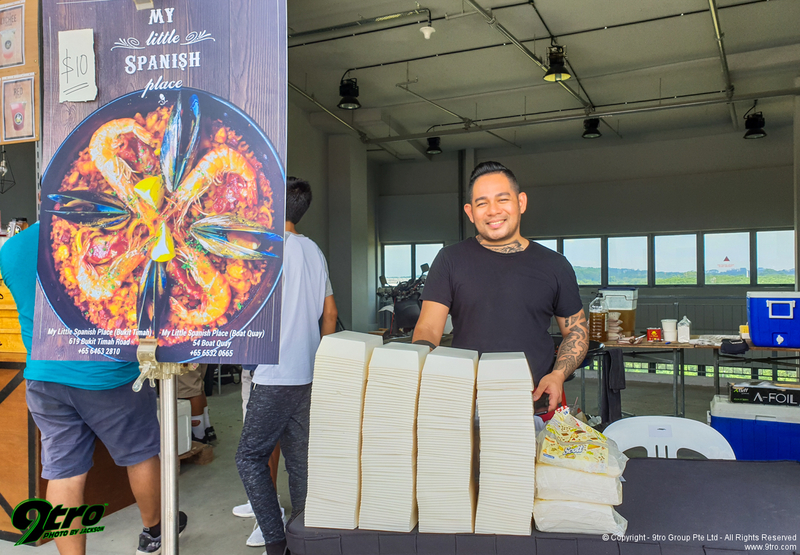 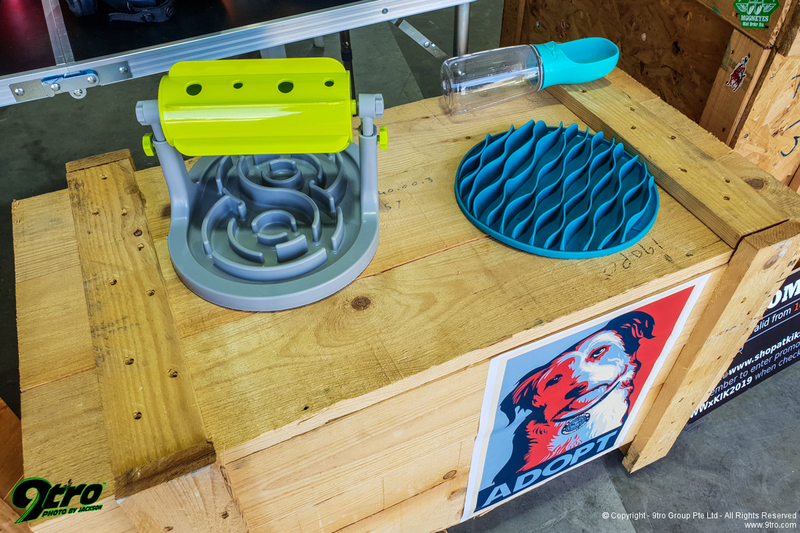 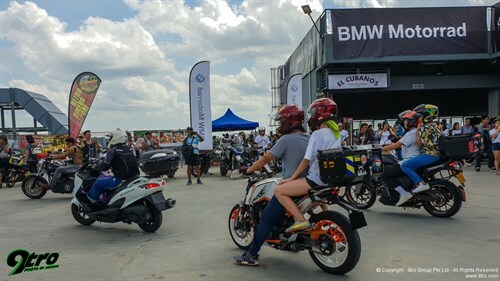 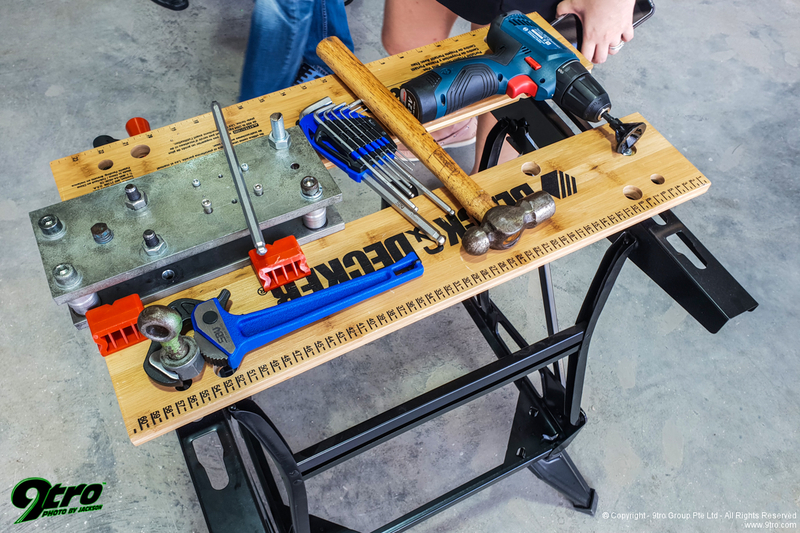 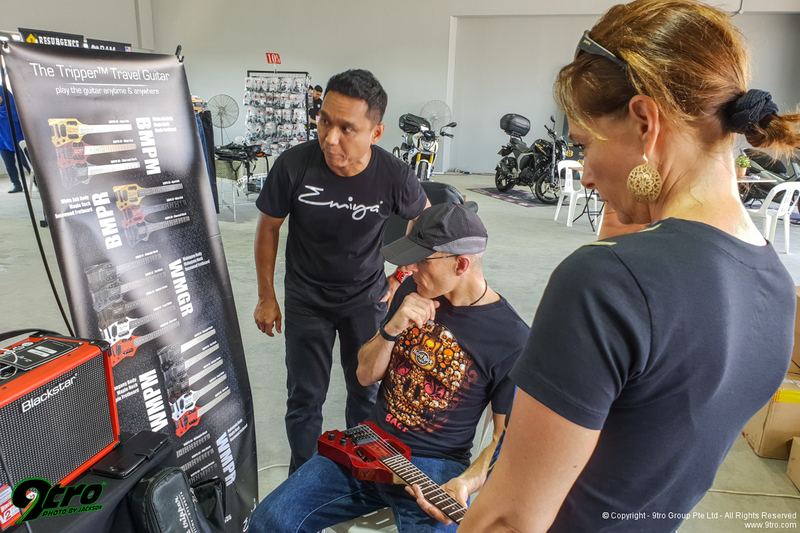 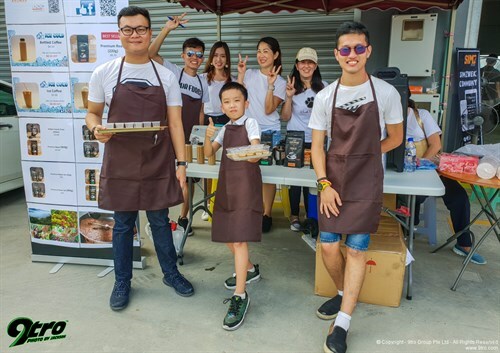 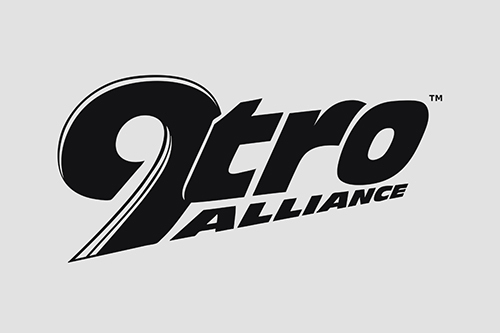 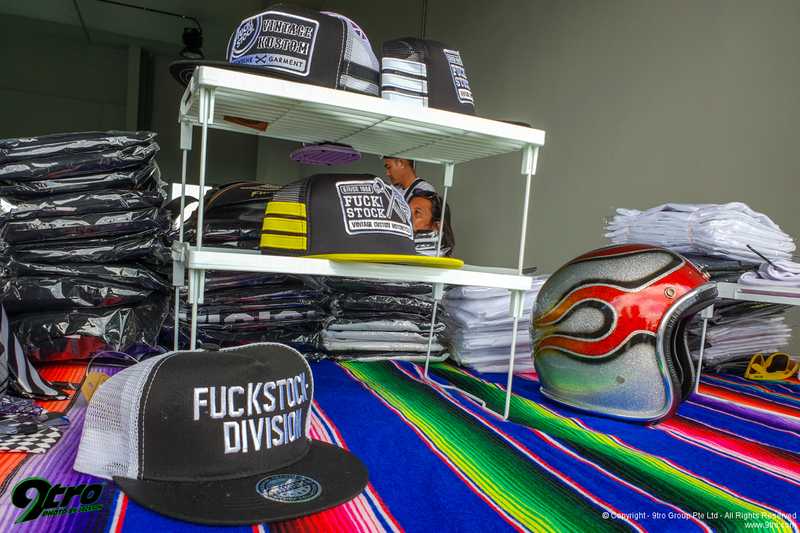 Other sponsors include El Cubanos, Beyerdynamic, Shell, KTM/Husqvarna Motorcycles, Ban Hock Hin Co. Pte Ltd, Handlebar, Purplelab, SIMZ Werkz and Carros. 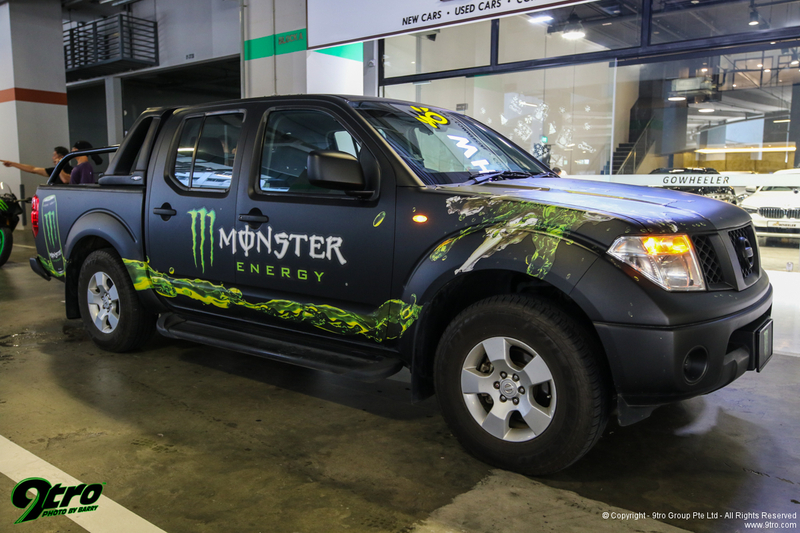 Our friends at Monster Energy were the preferred energy drink for Wicked Wallop! 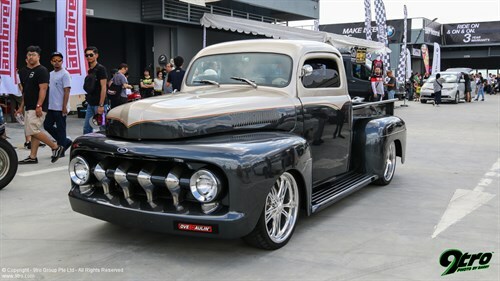 Wicked Wallop IV was also home to a multitude of regional and international motorcycle-related shows/brands some of whom were in Singapore for the first time, they included MoonEyes Japan, Von Dutch, SkullsNation, Art of Speed, KL Bike Week, Johor International Bike Week, KustomFest and Bangkok Hotrod.